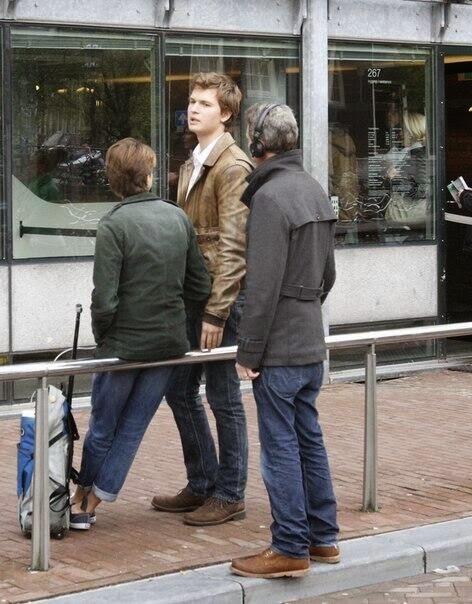 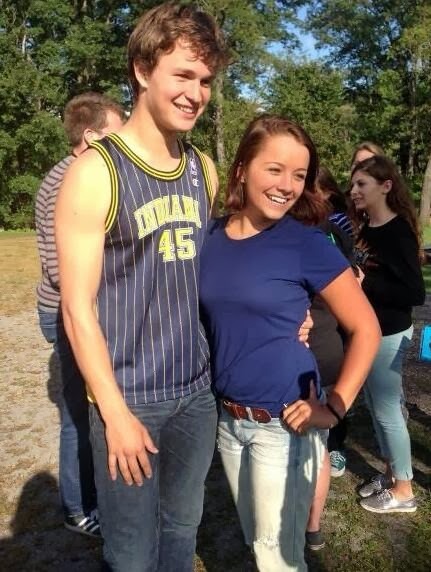 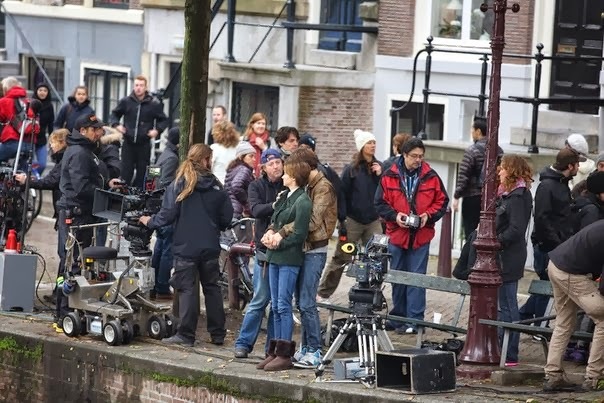 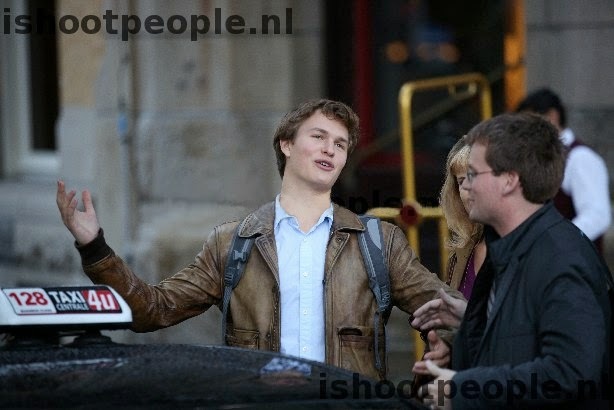 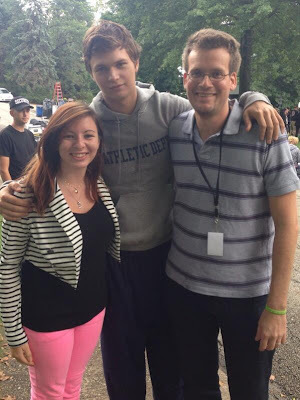 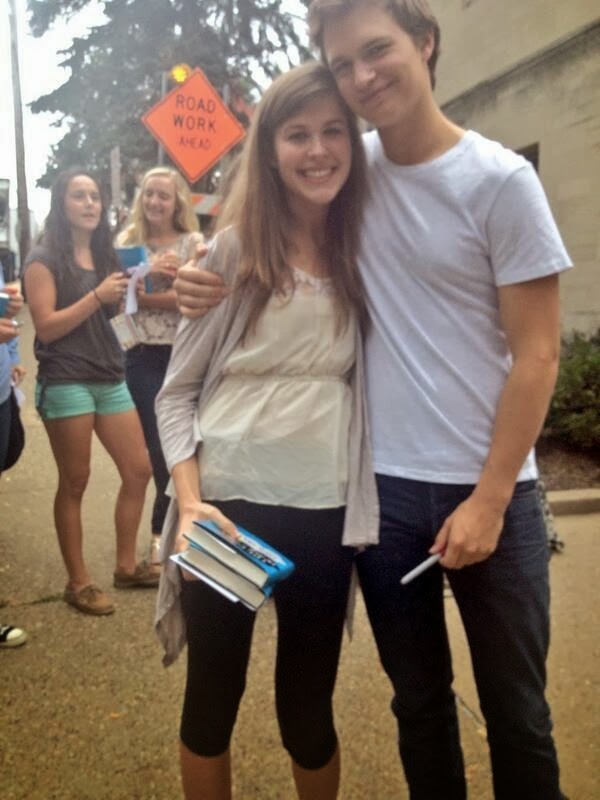 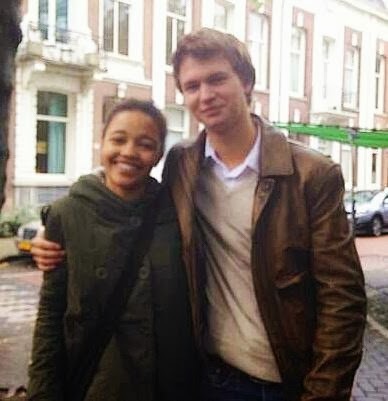 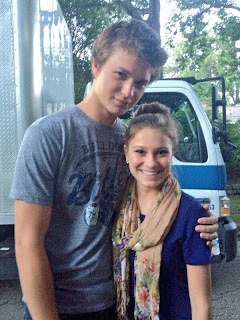 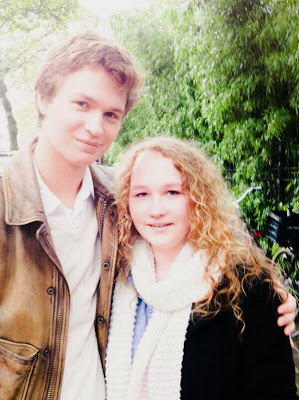 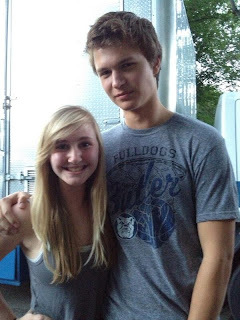 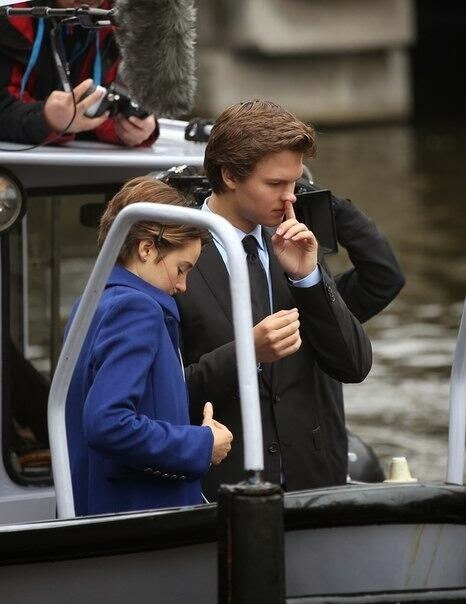 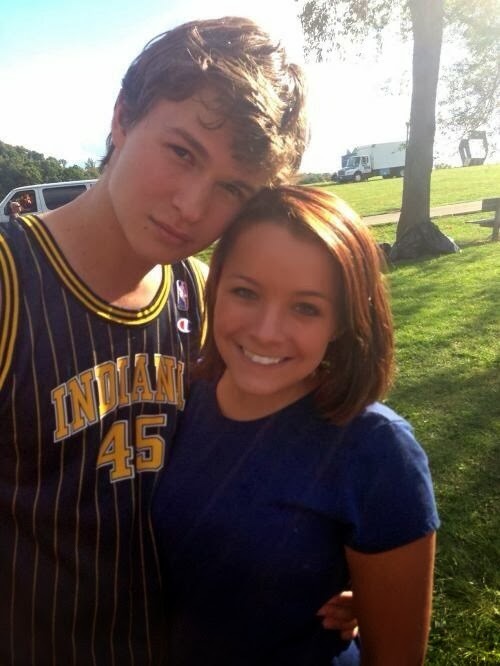 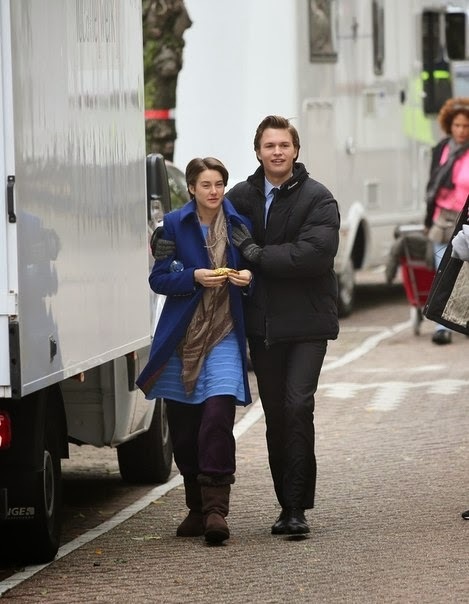 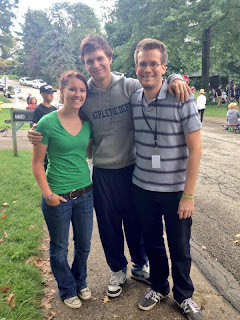 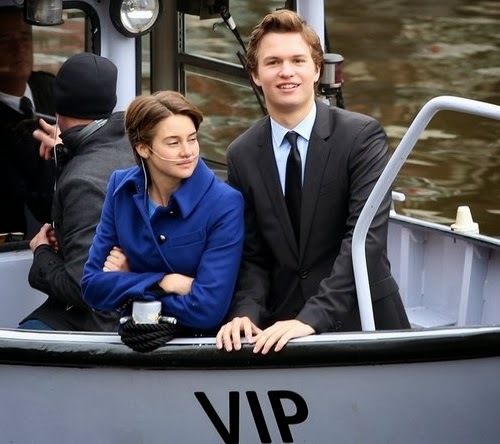 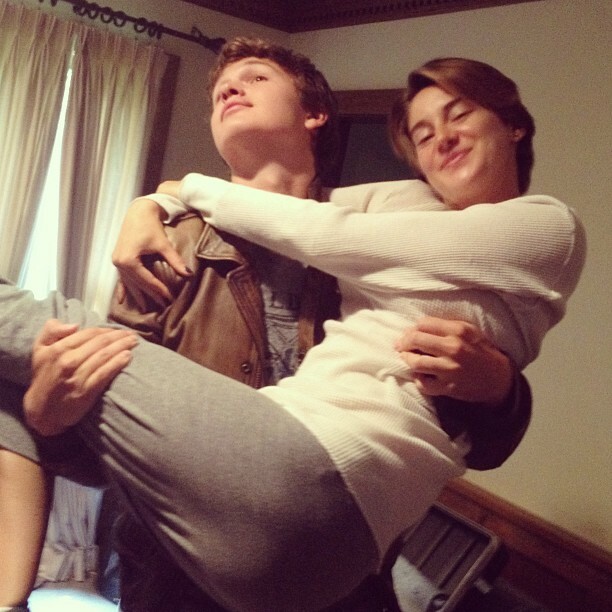 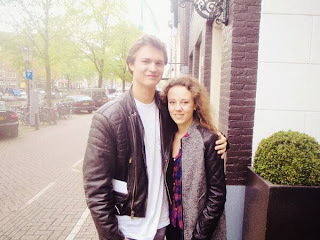 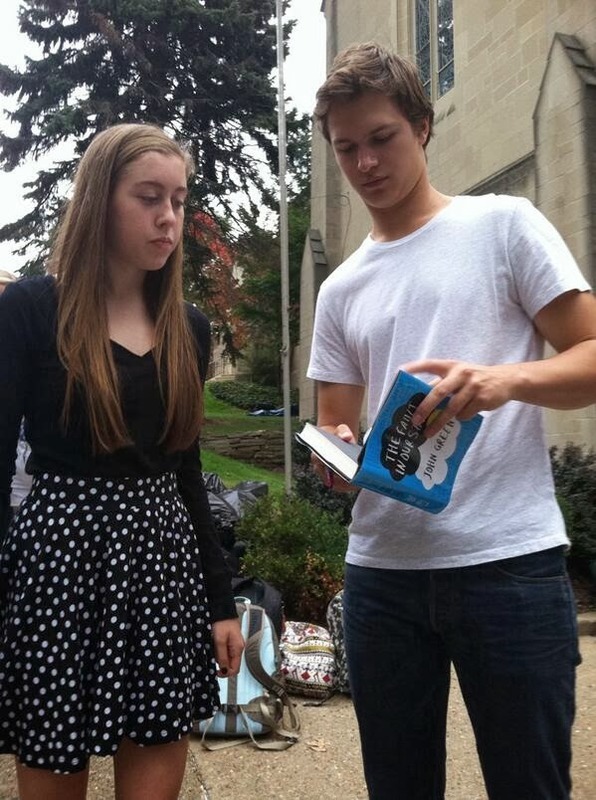 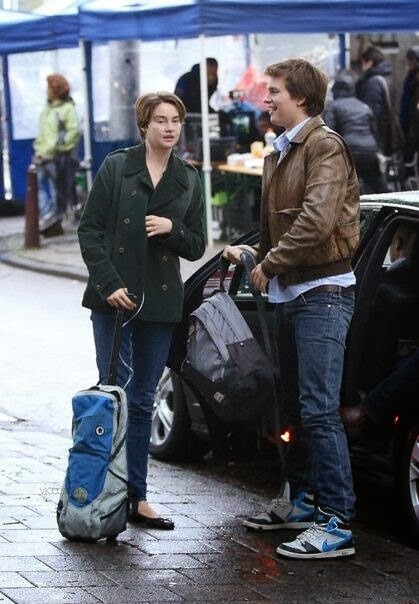 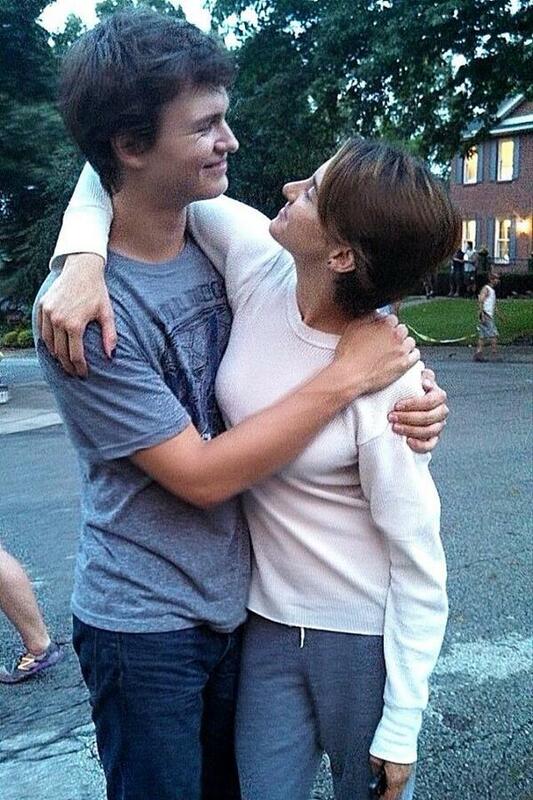 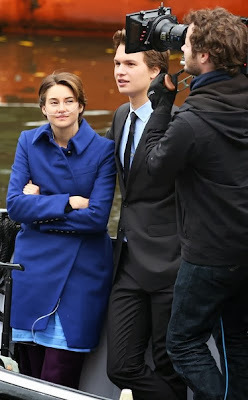 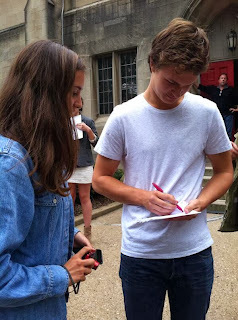 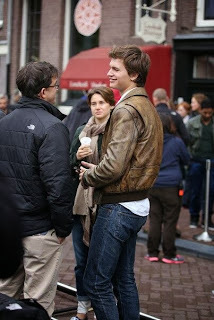 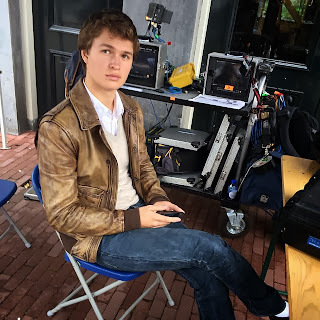 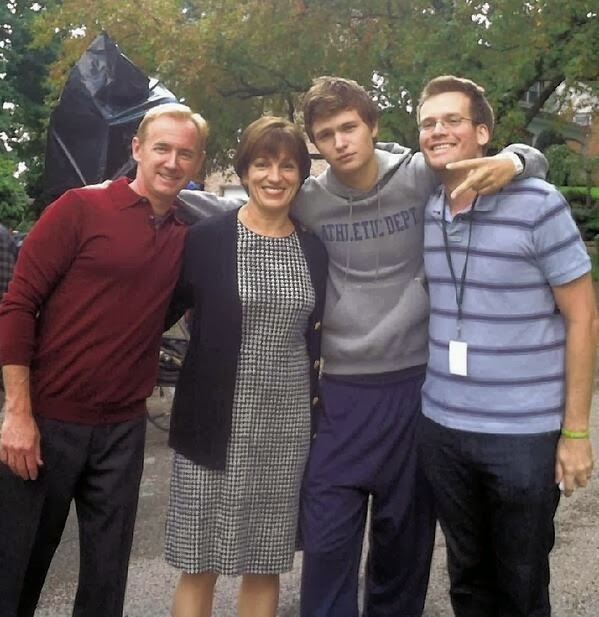 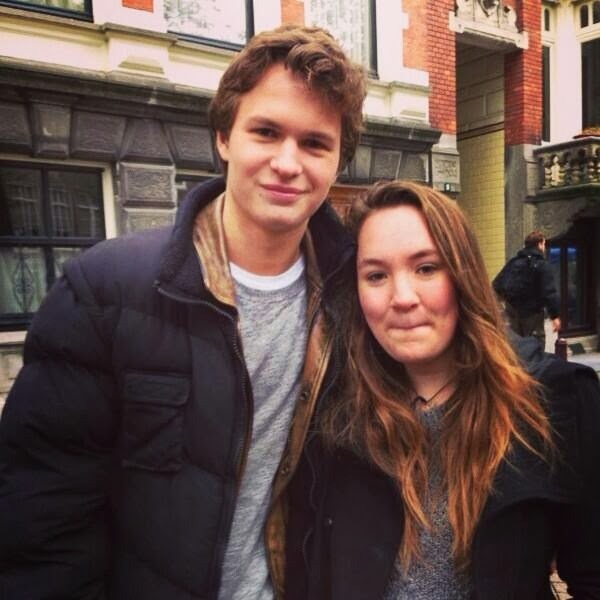 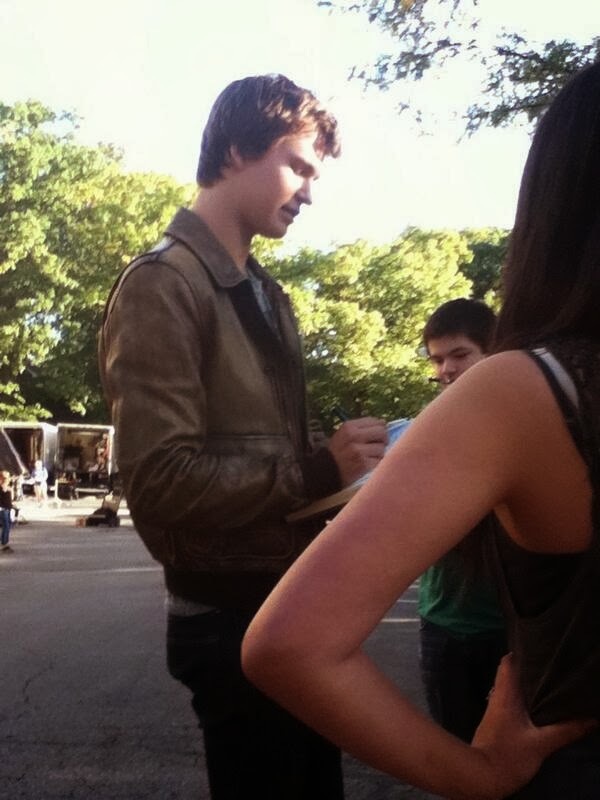 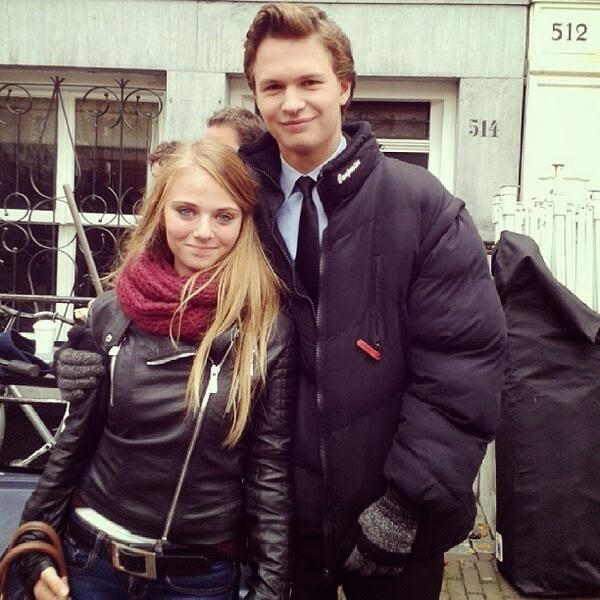 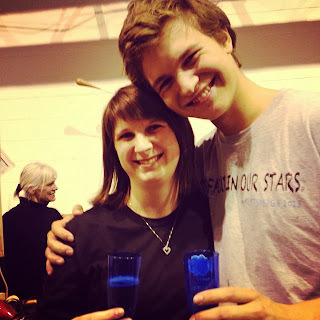 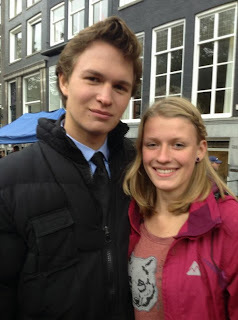 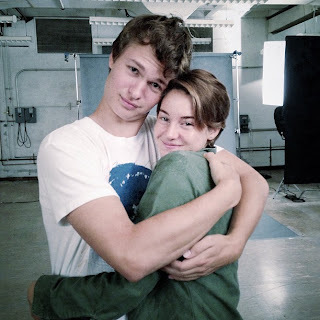 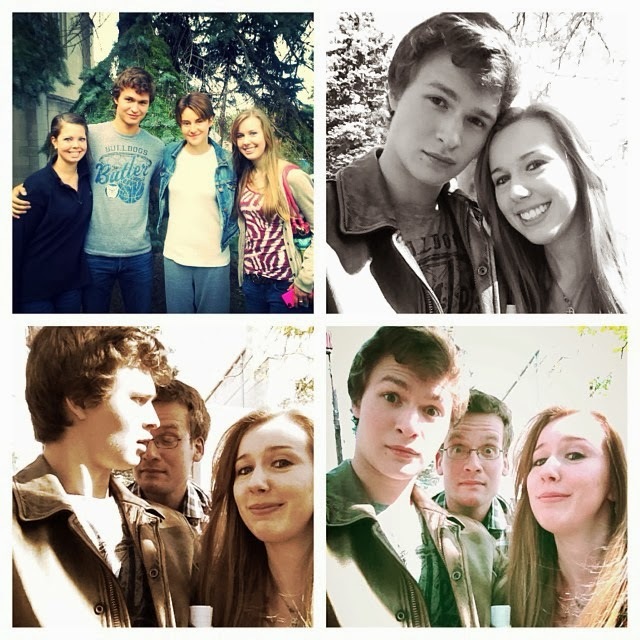 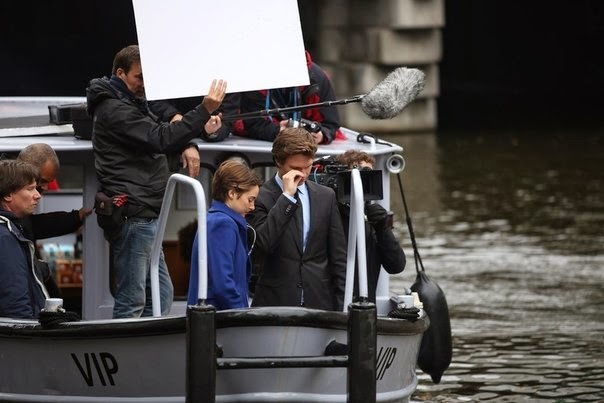 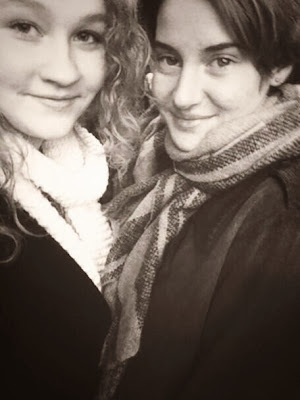 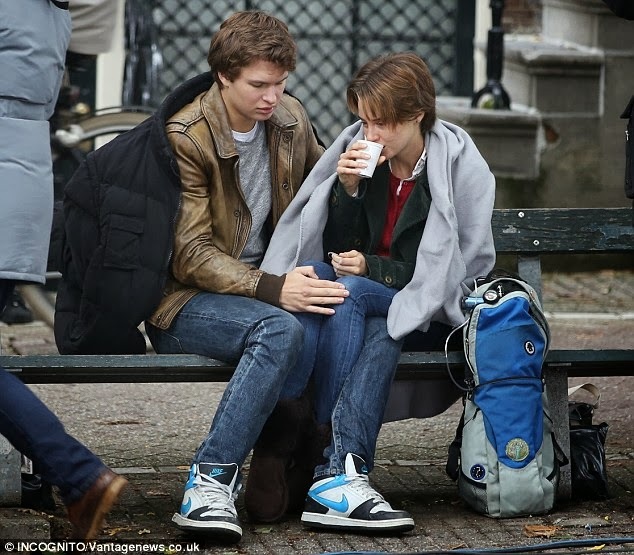 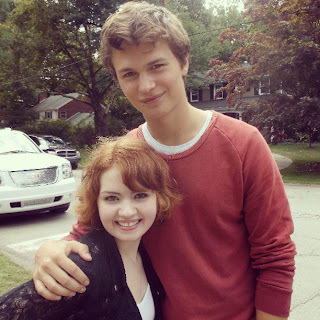 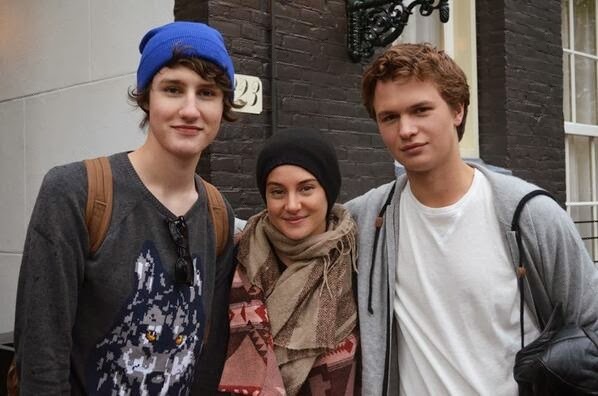 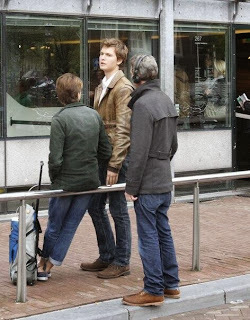 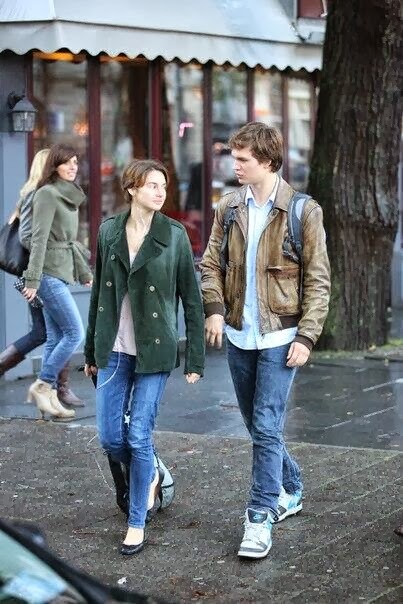 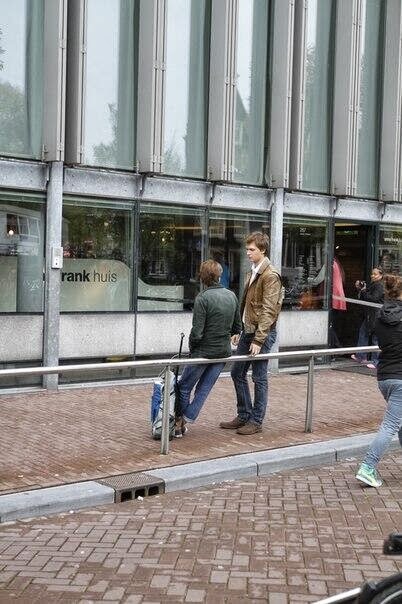 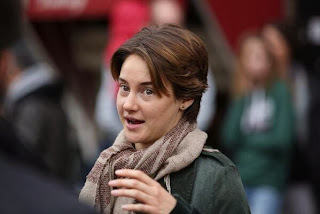 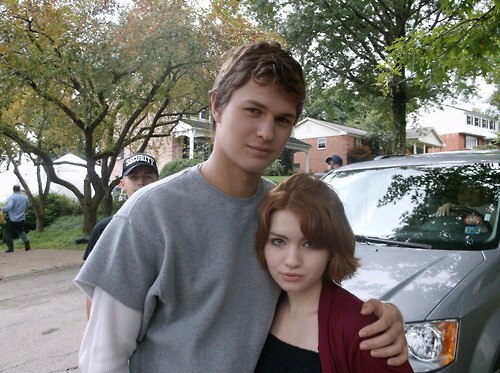 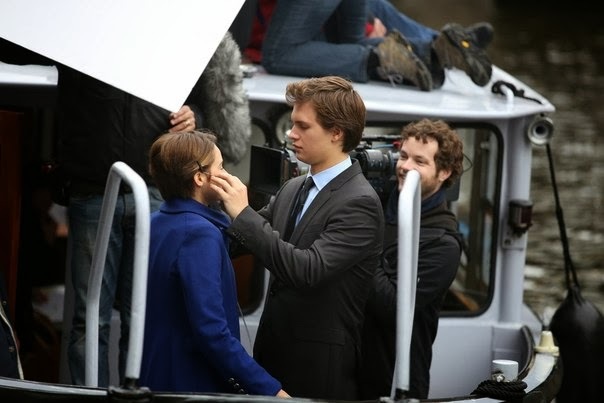 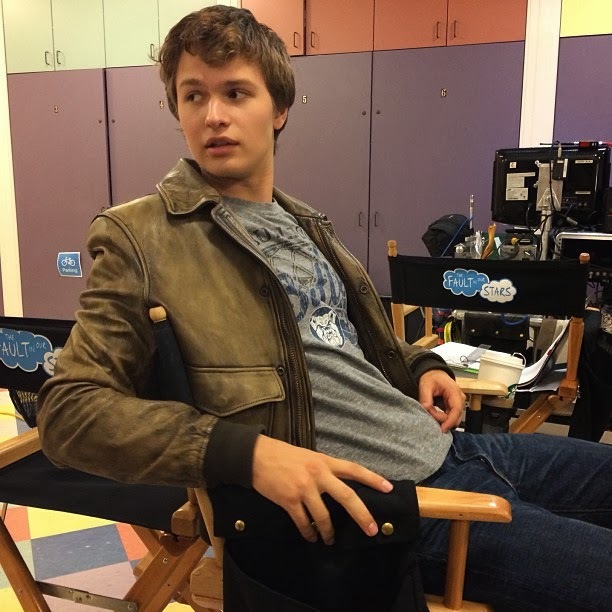 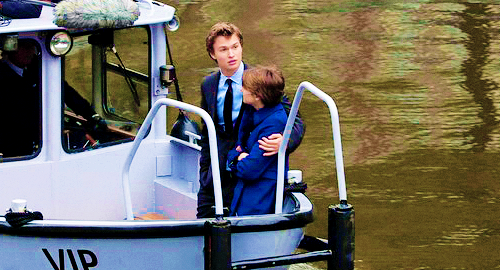 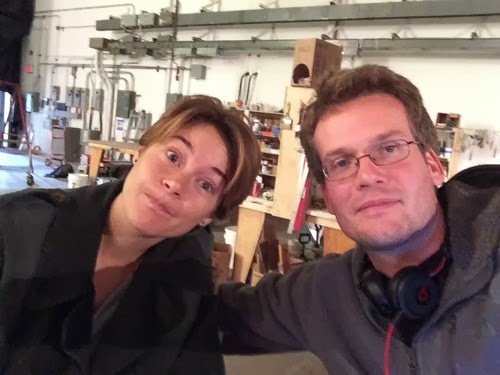 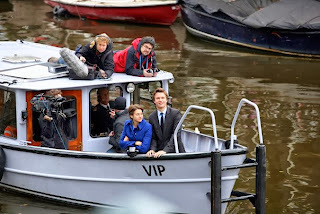 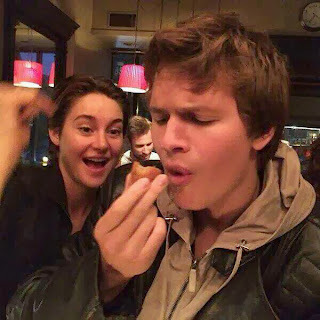 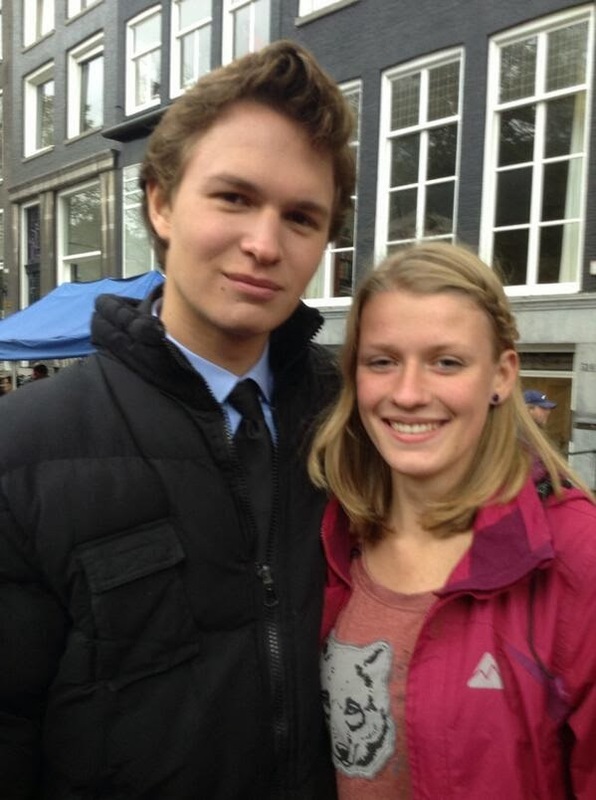 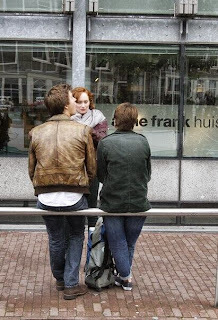 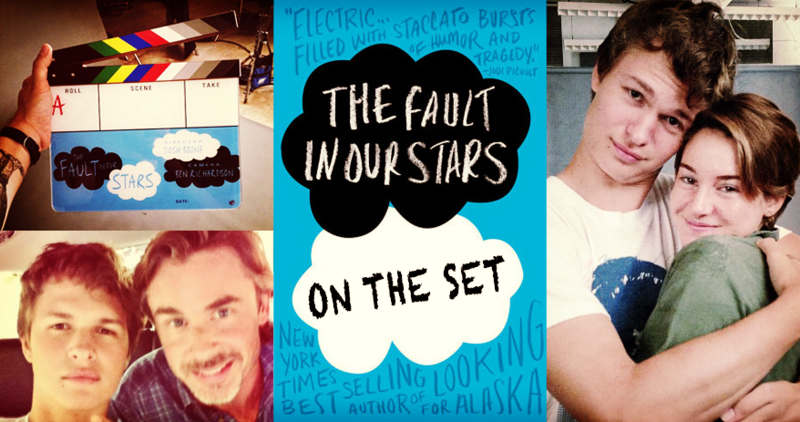 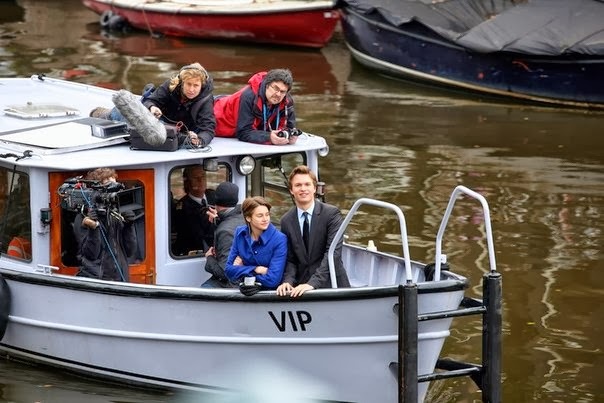 Divergent stars Shailene Woodley and Ansel Elgort are currently filming the movie adaptation of John Green's 'The Fault in our Stars' (expected release date 6 June 2014). 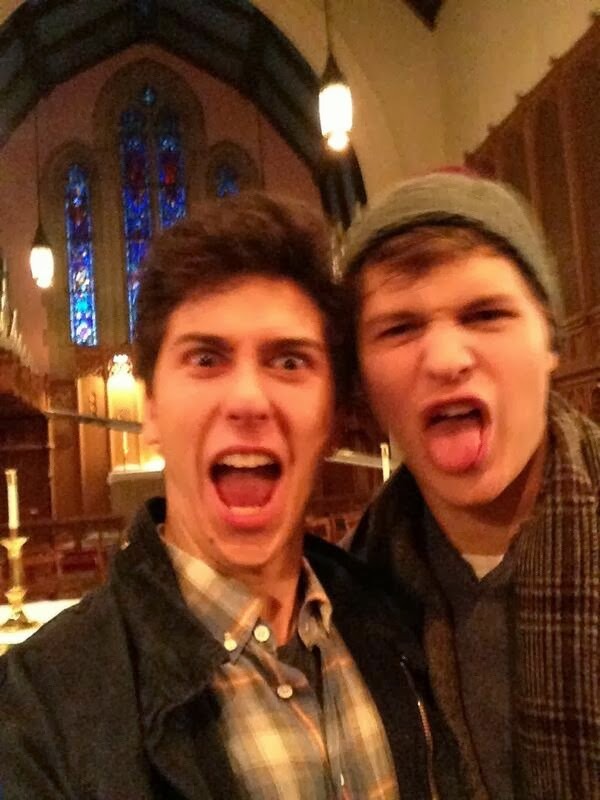 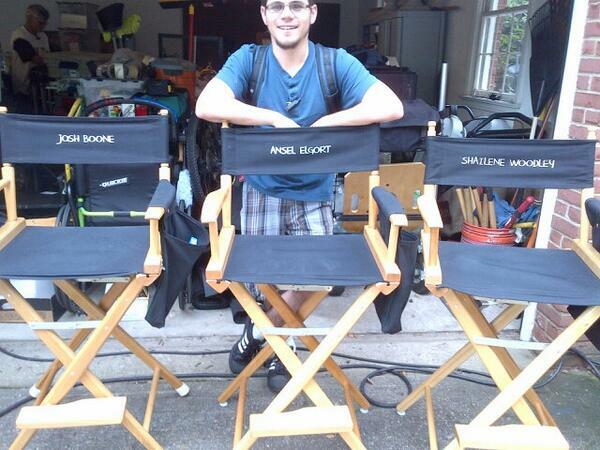 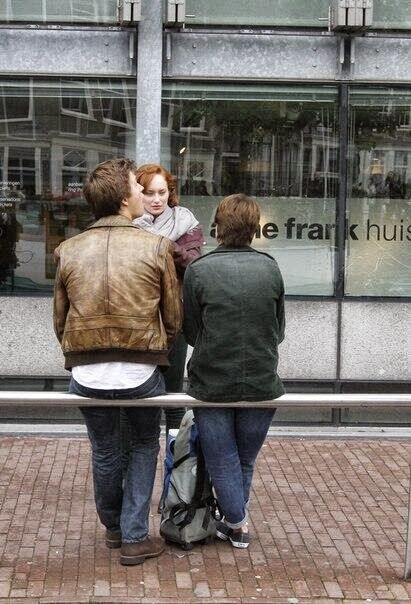 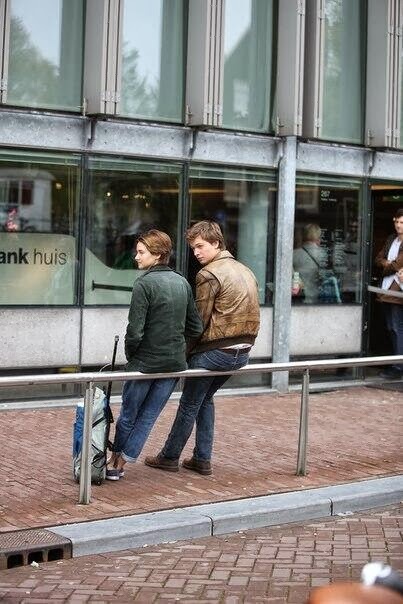 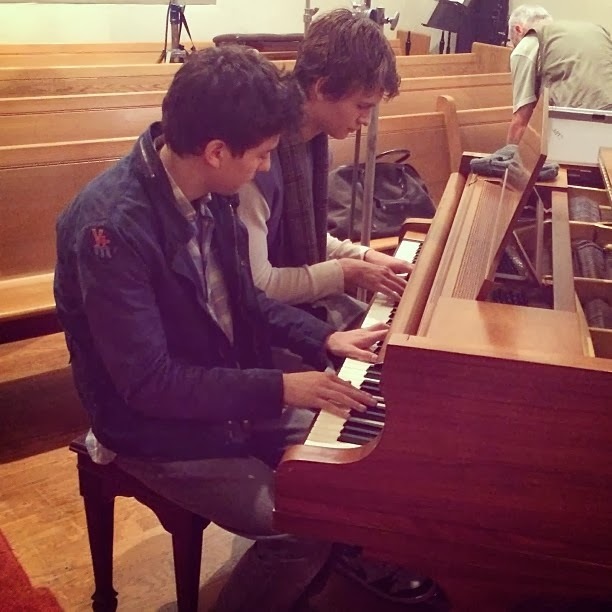 They play leads 'Hazel' and Gus'. 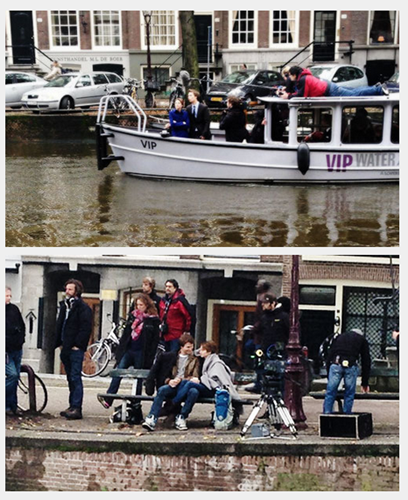 We'll be keeping this post updated with the latest pictures/videos from the shoot featuring the two. 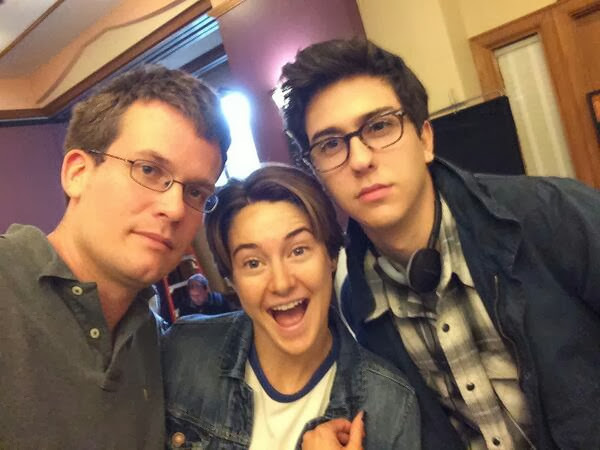 Released today: Joshua Horowitz happy/sad/confused with Shai & Ansel. 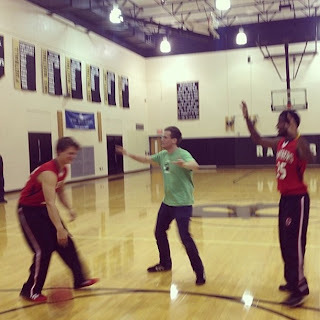 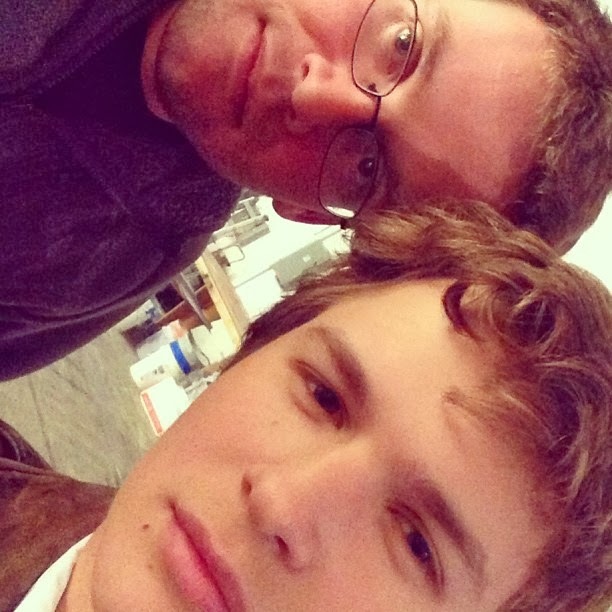 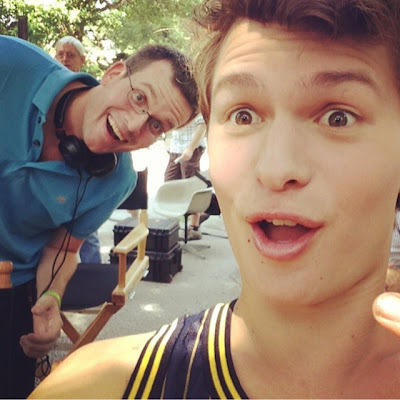 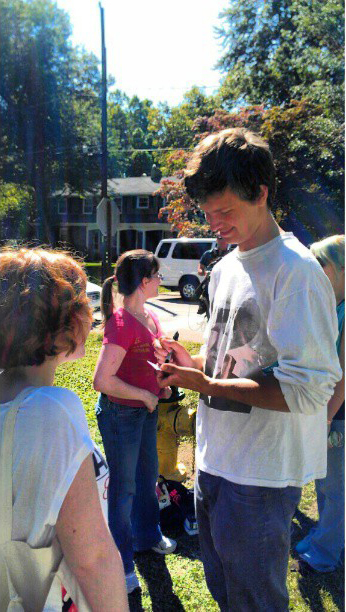 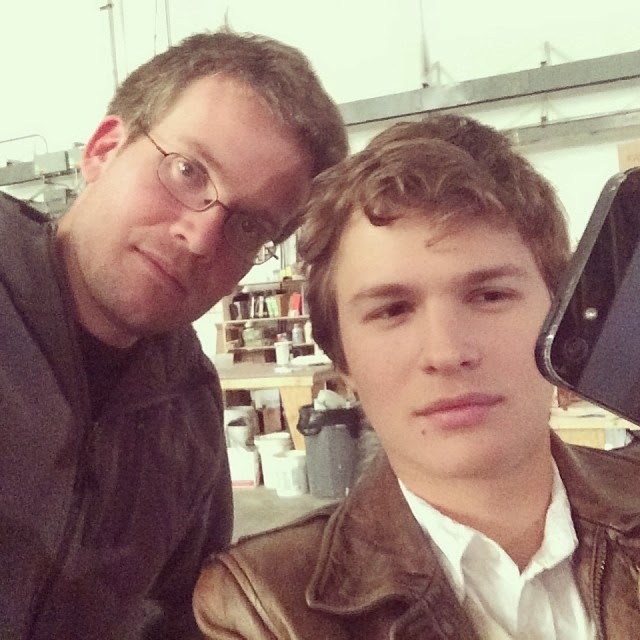 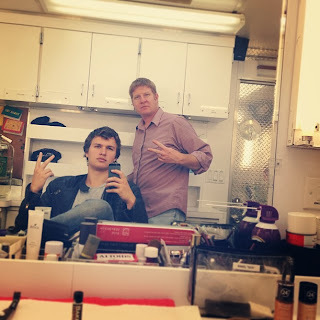 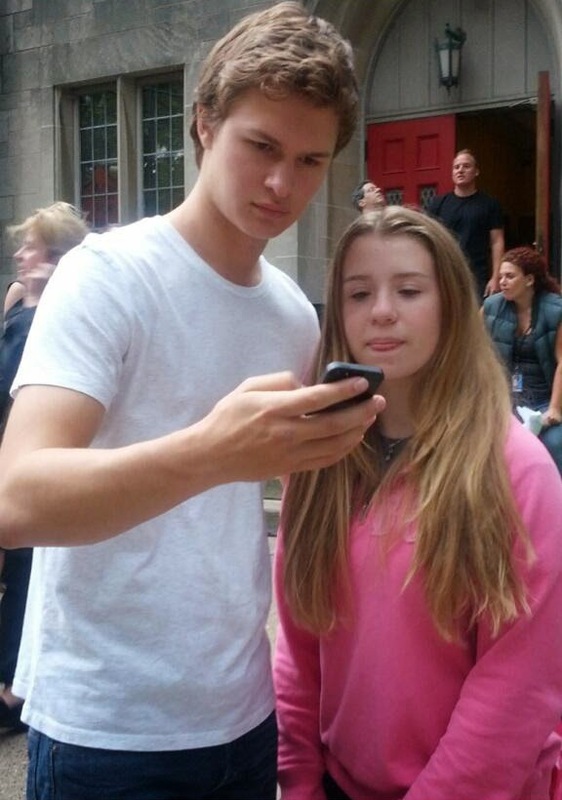 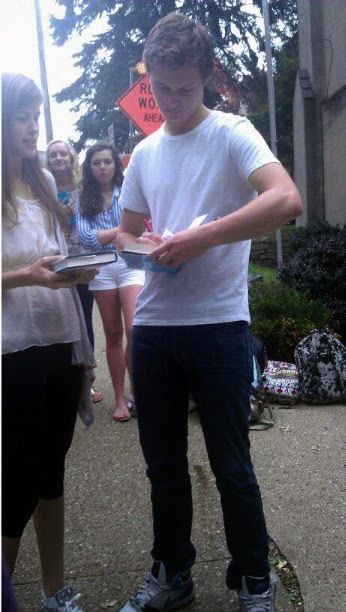 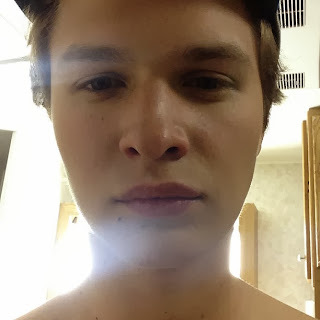 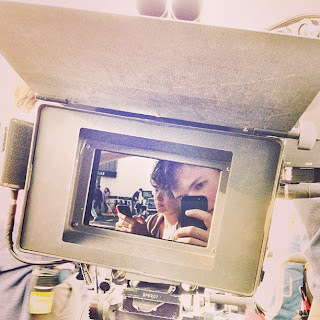 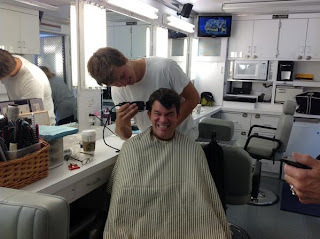 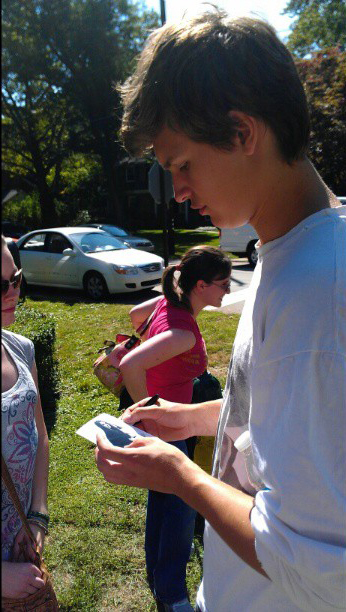 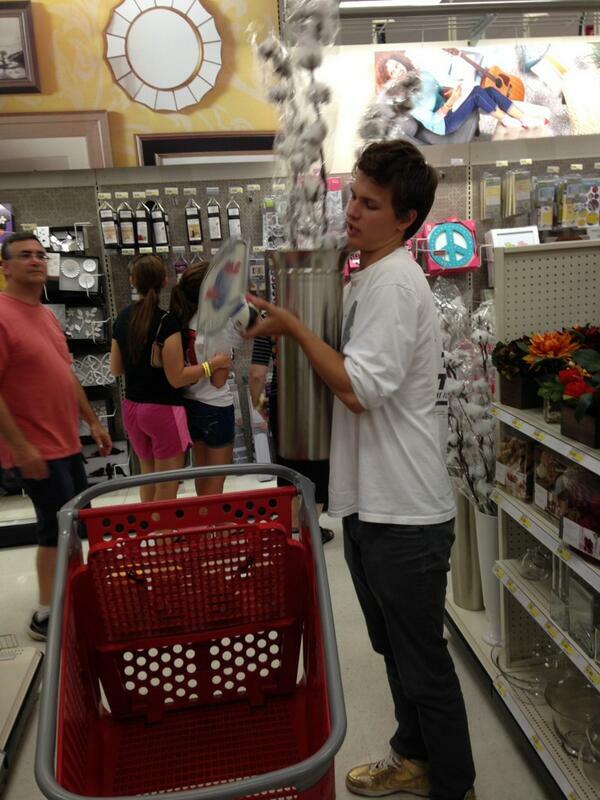 John Green: "Taking a selfie of @anselelgort taking a selfie. 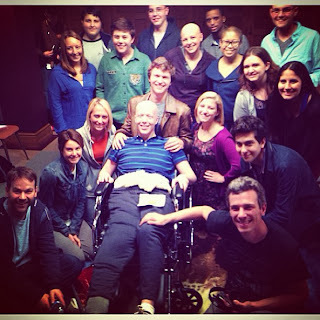 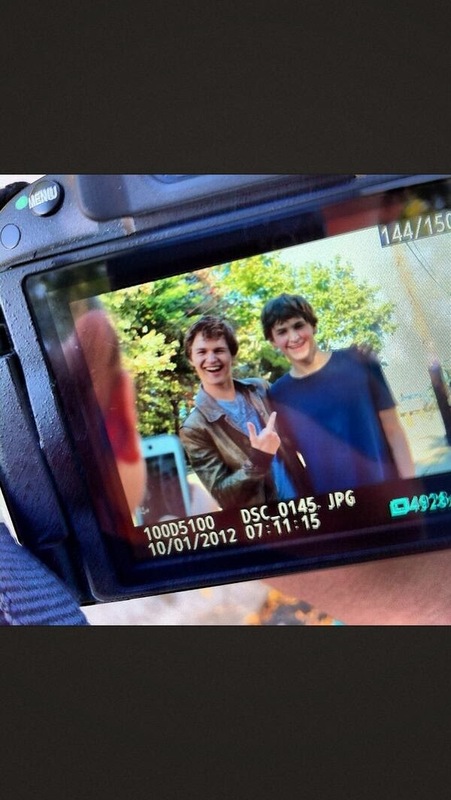 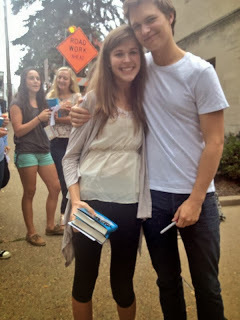 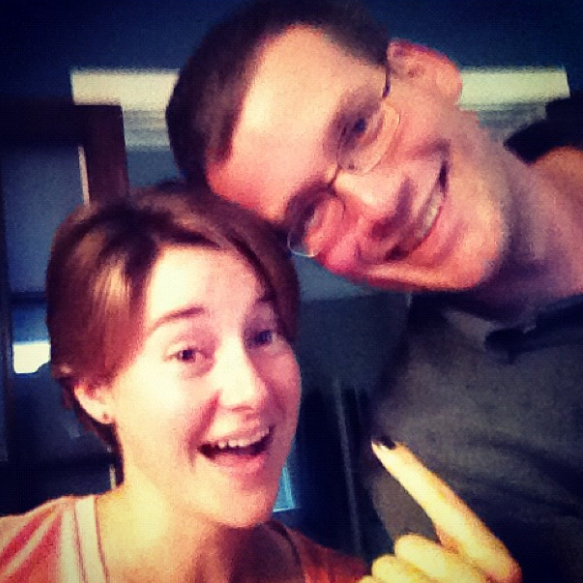 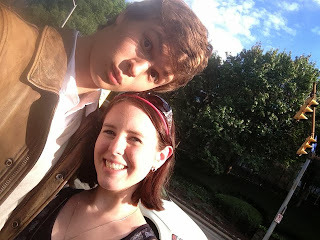 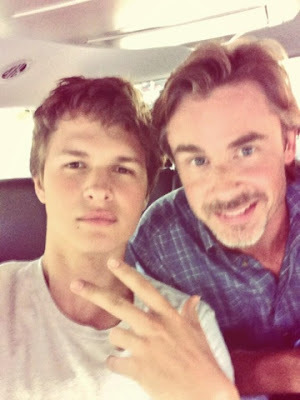 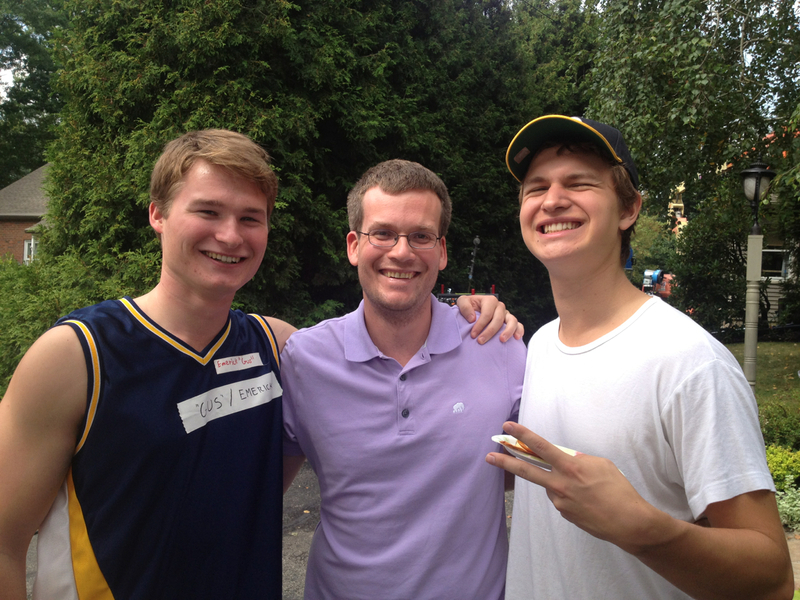 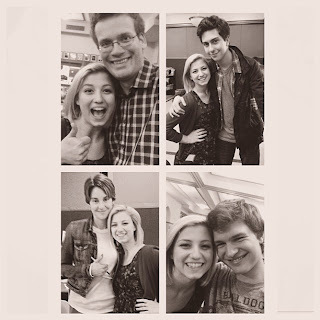 #tfiosmovie"
Ansel Elfort: "The selfie that was taken during @johngreenwritesbooks picture... That's so meta duuuuuuude"
@realjohngreen: "Reunited with the #tfiosmovie cast. 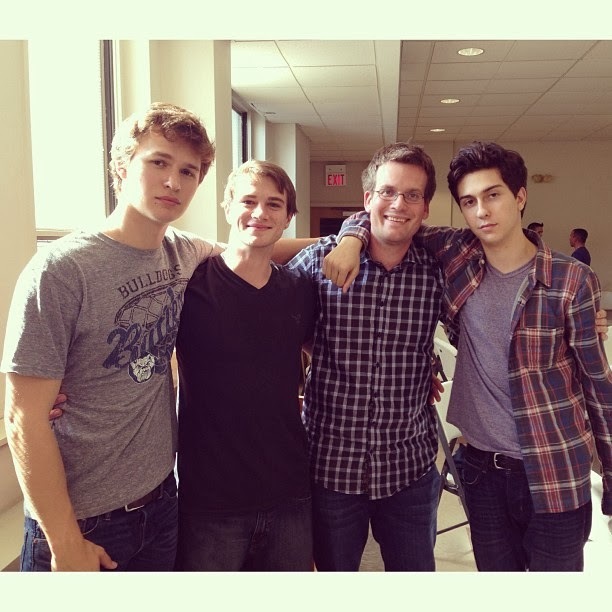 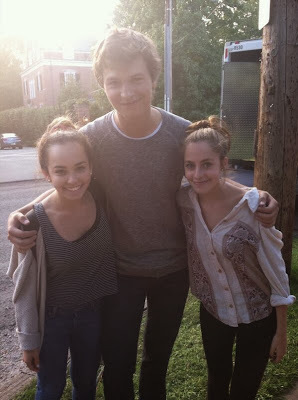 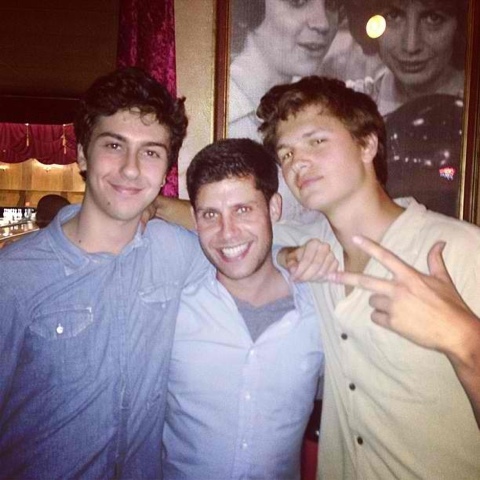 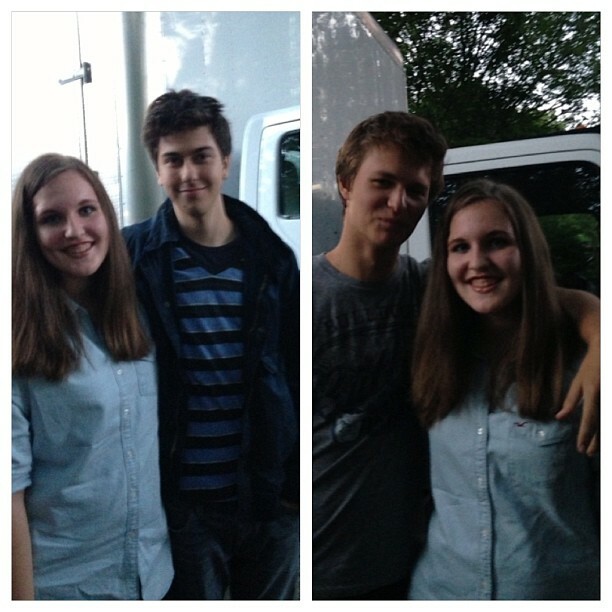 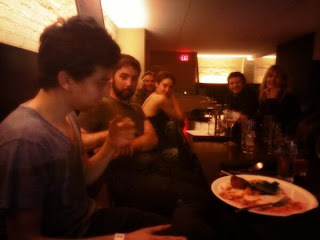 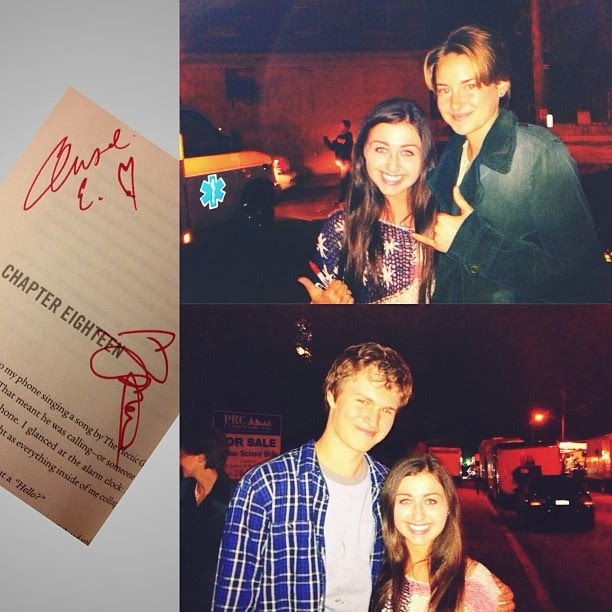 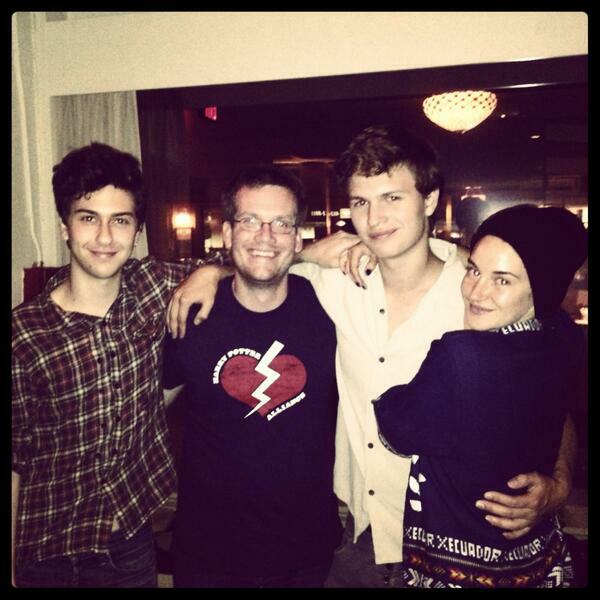 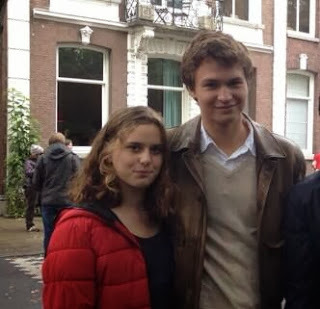 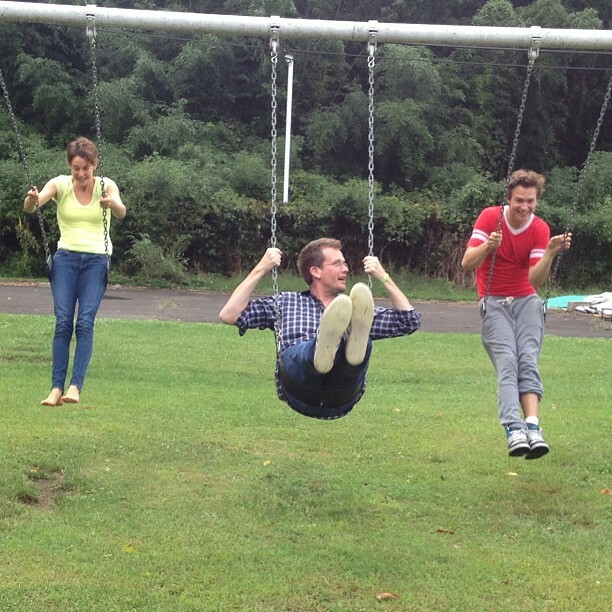 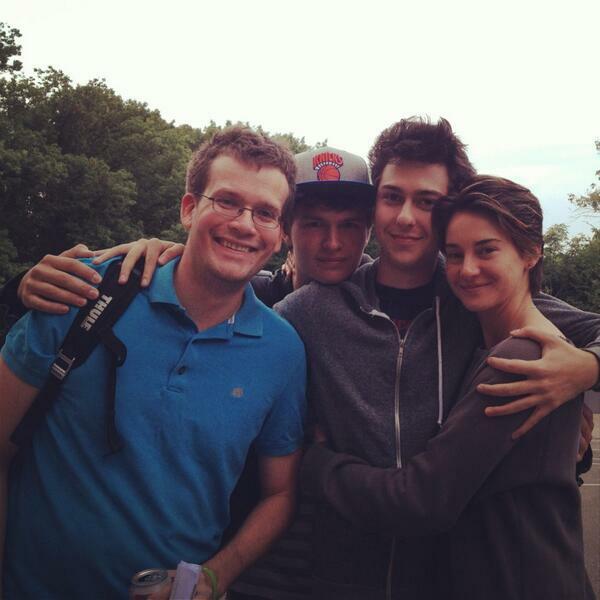 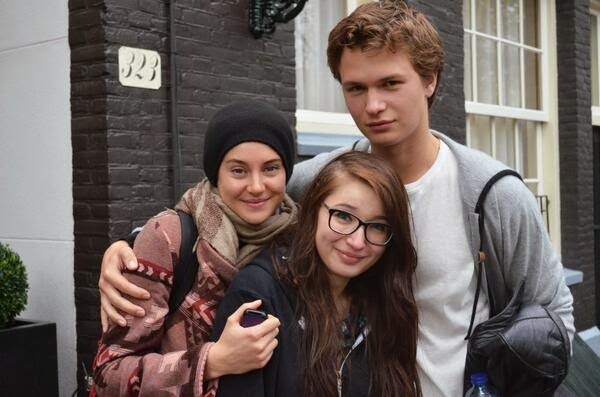 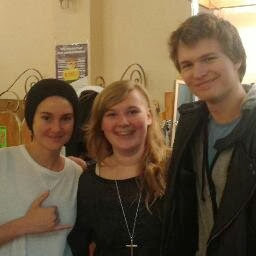 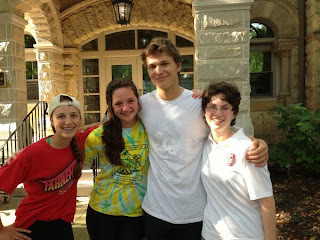 With @AnselElgort, @shailenewoodley, and @natandalex." 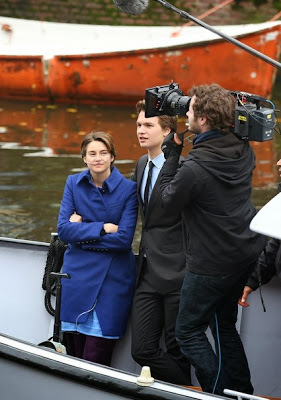 Seeing Shailene & Ansel bring the characters come to life was very weird, but very powerful, "I'll never experience something like that again." 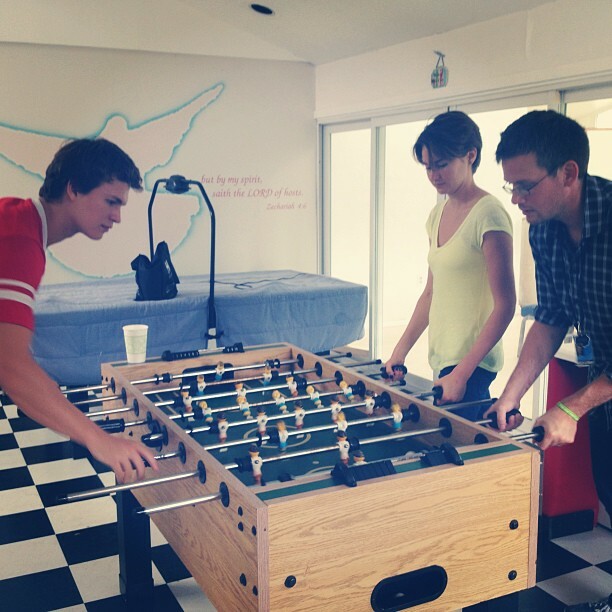 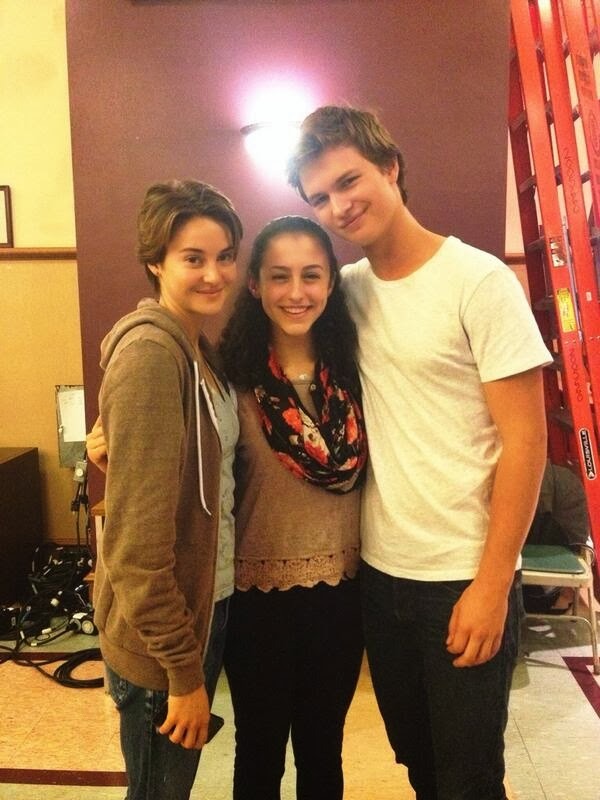 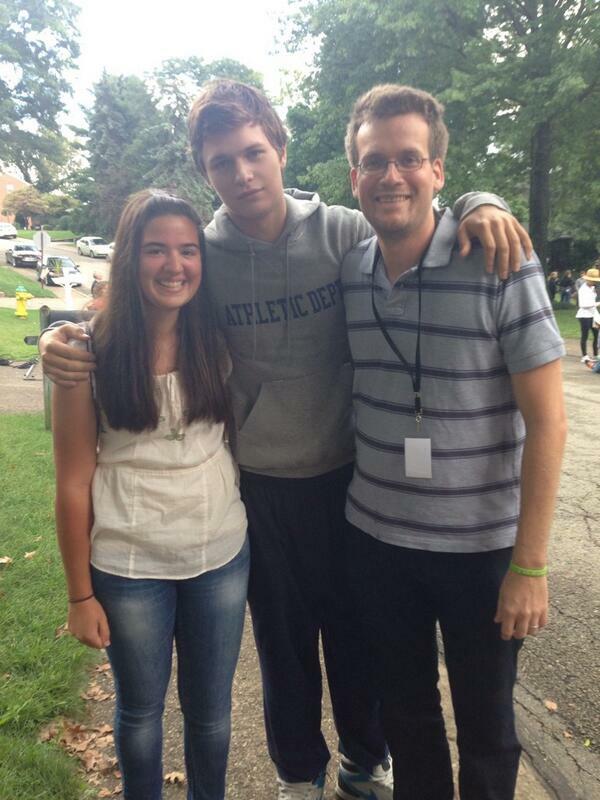 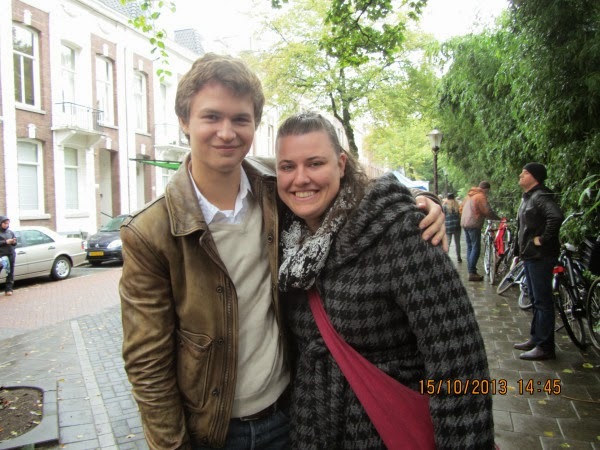 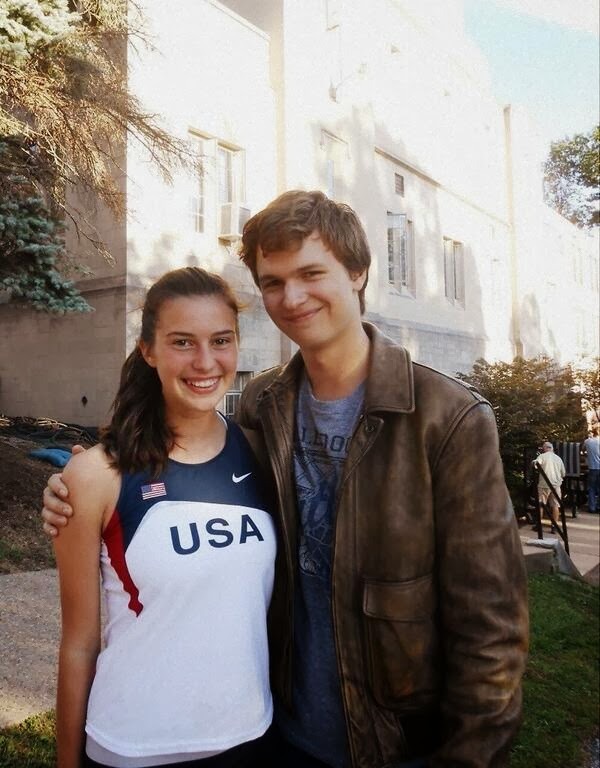 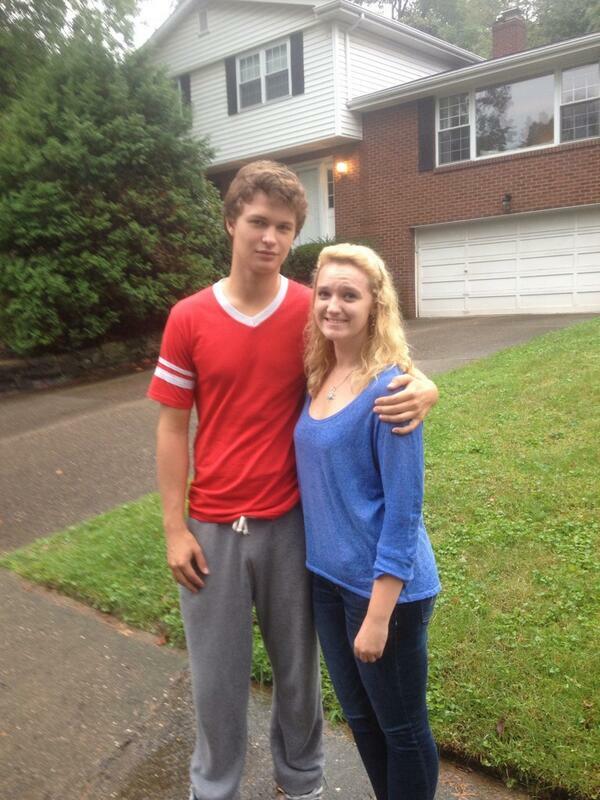 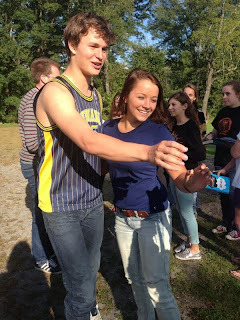 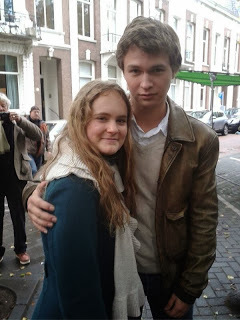 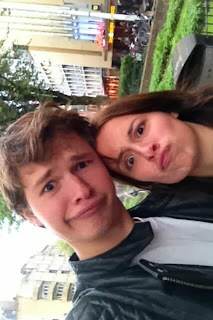 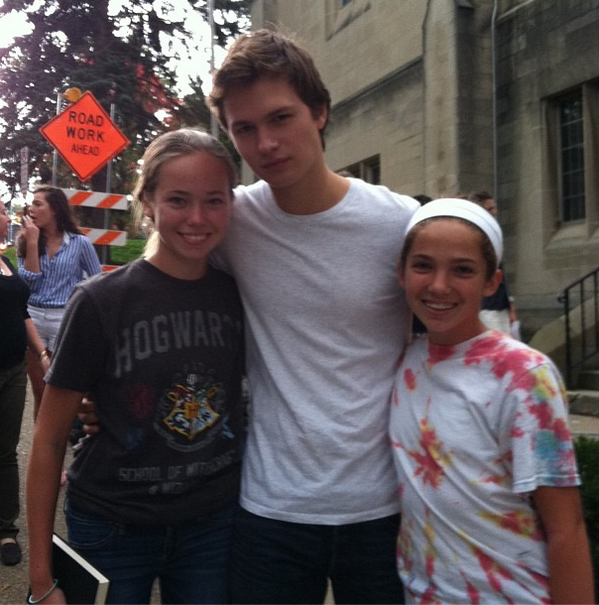 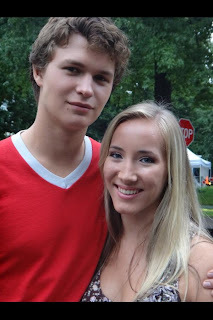 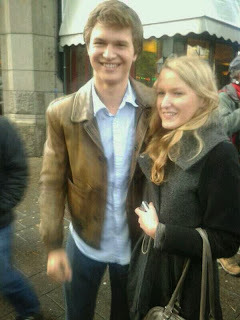 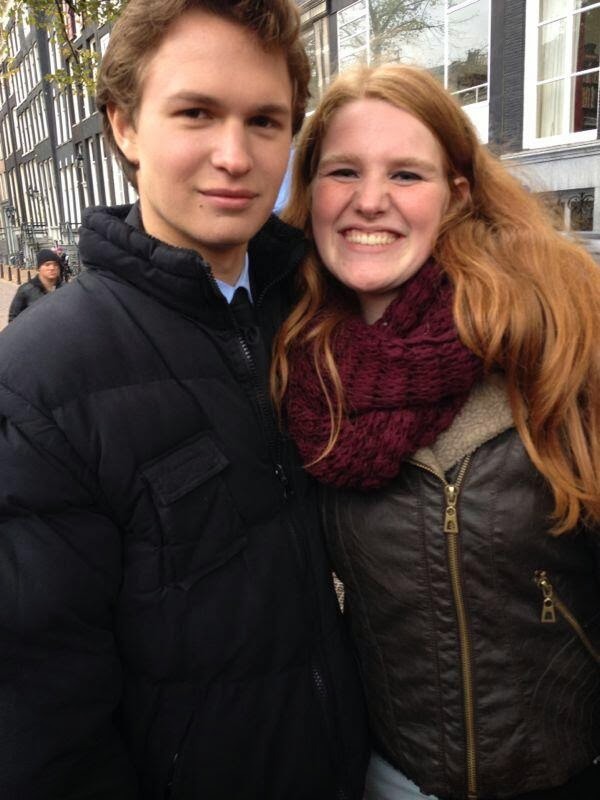 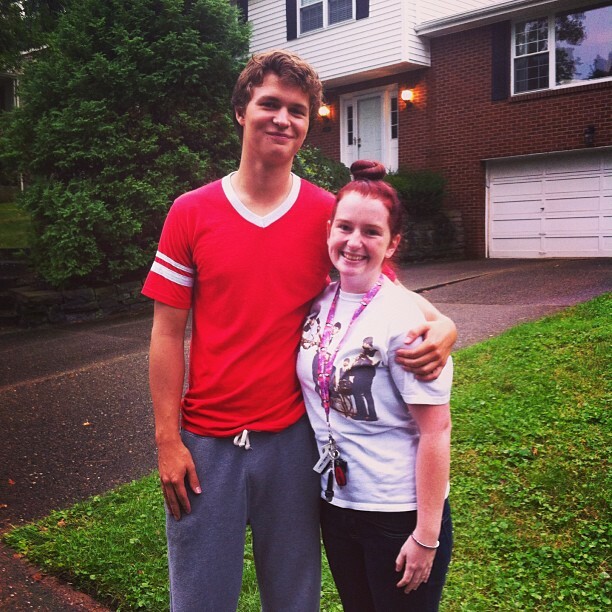 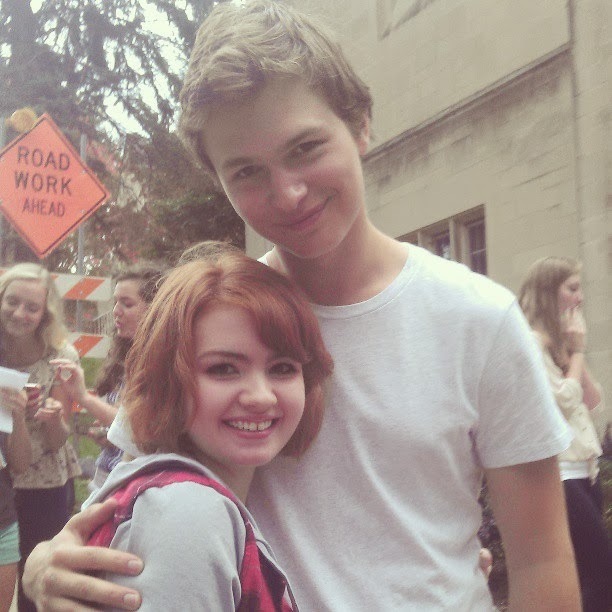 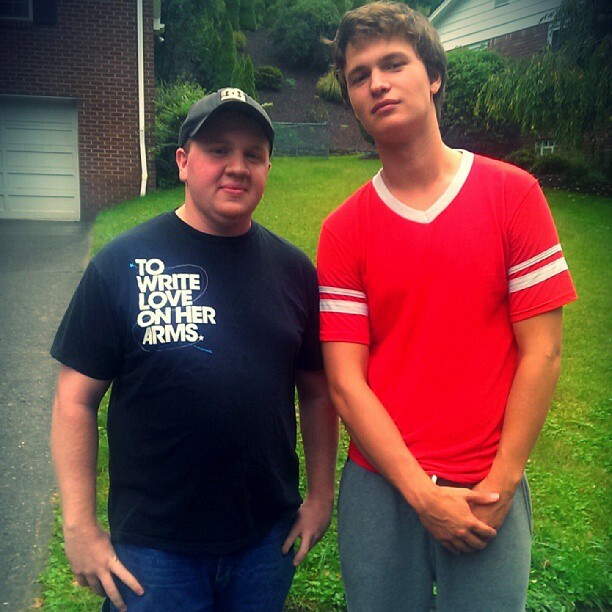 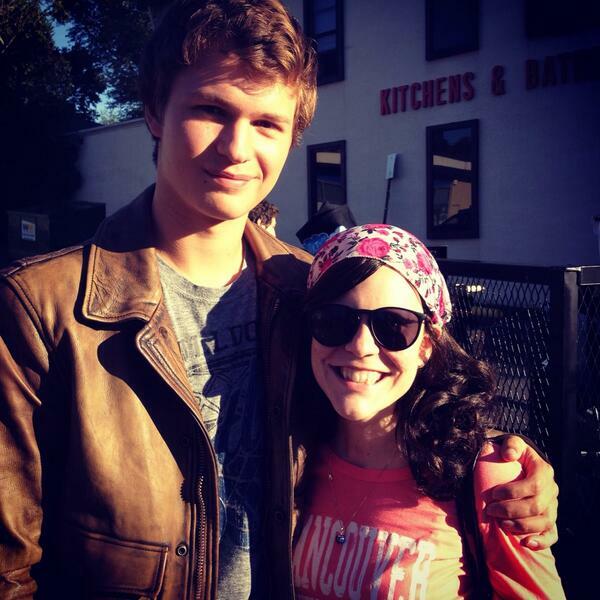 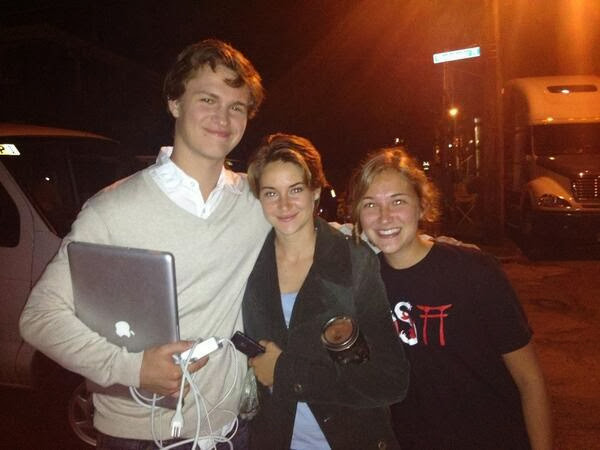 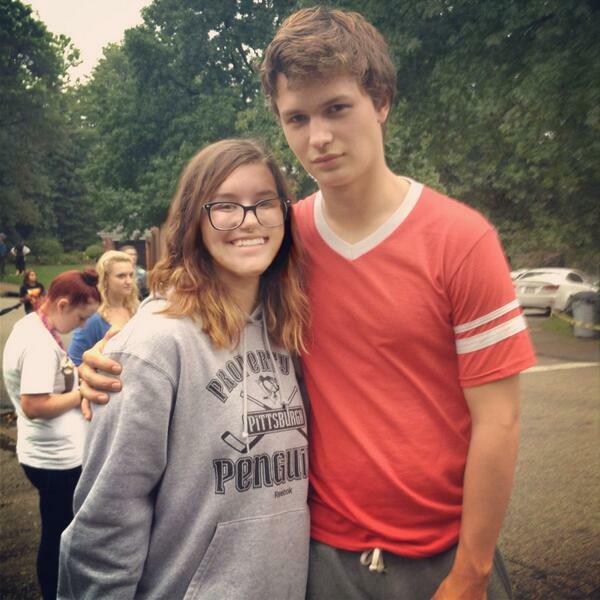 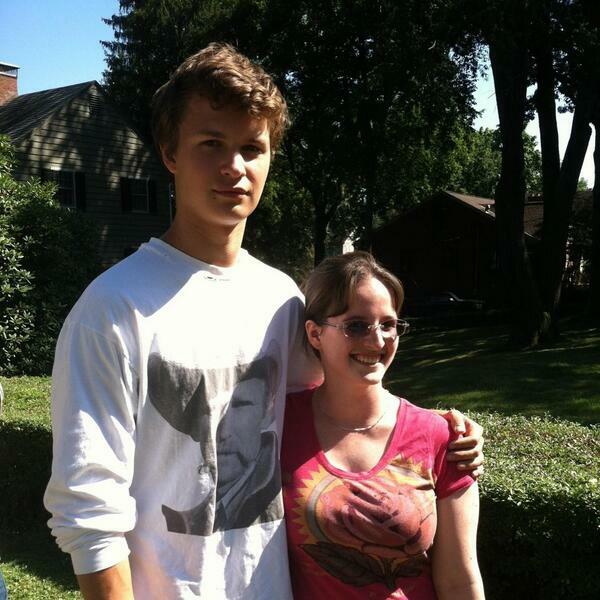 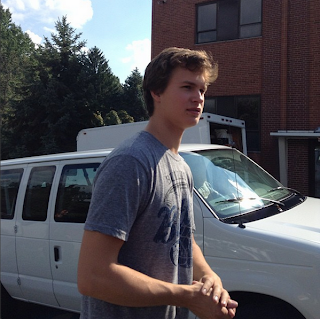 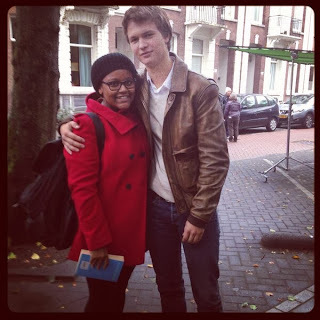 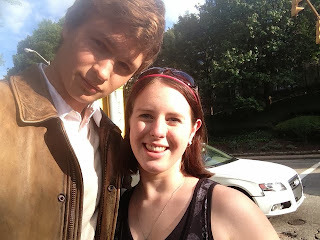 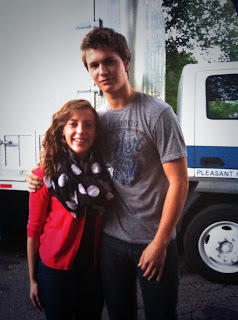 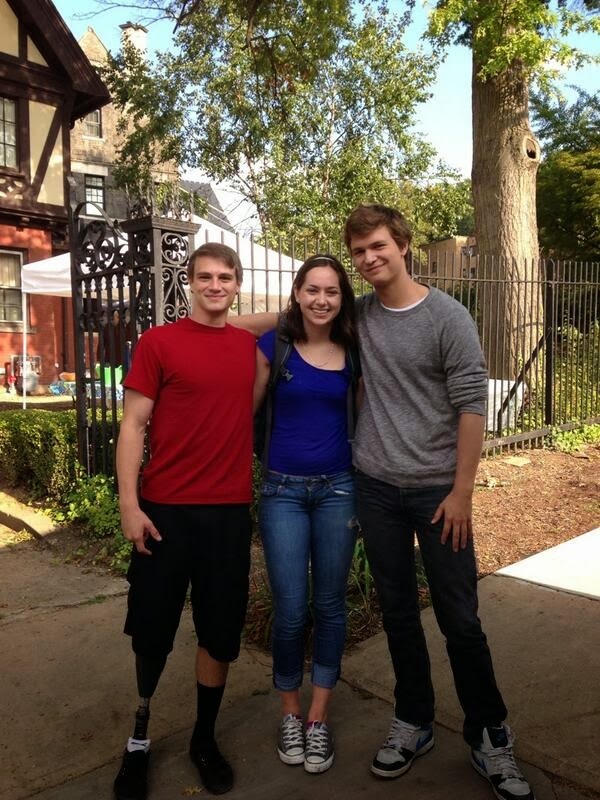 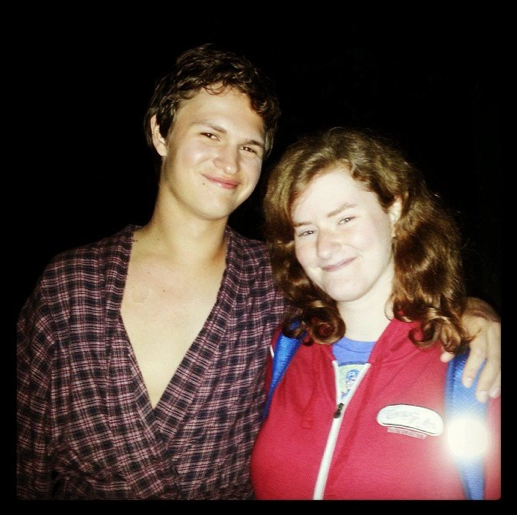 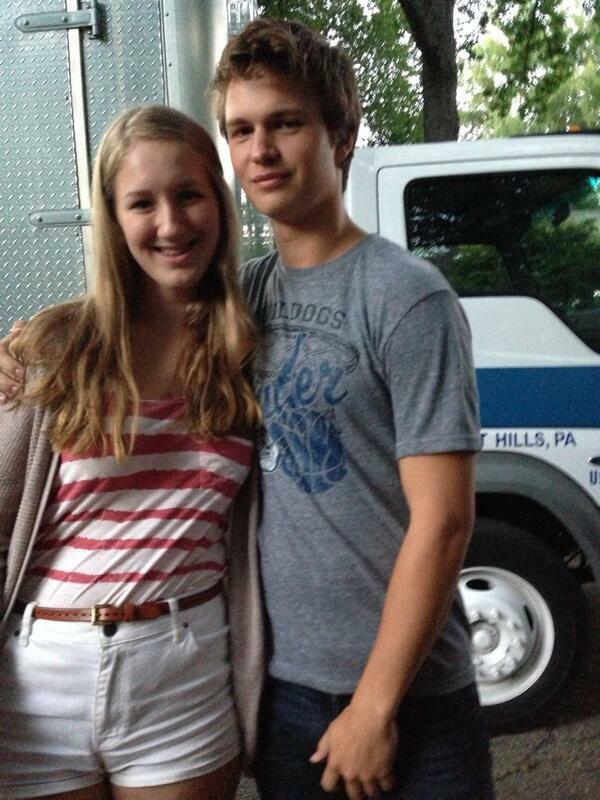 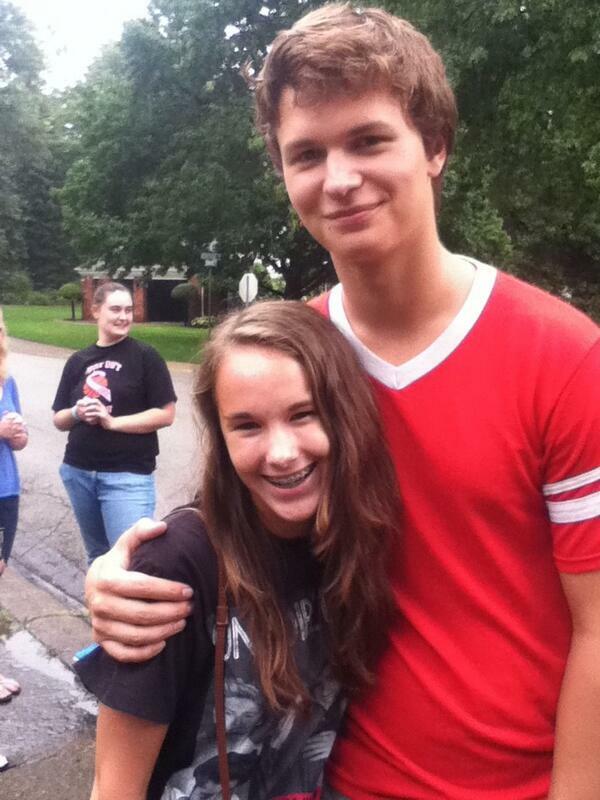 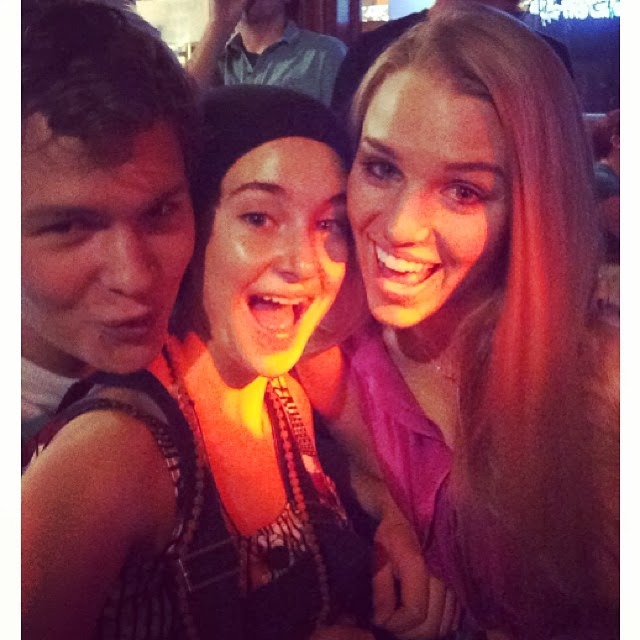 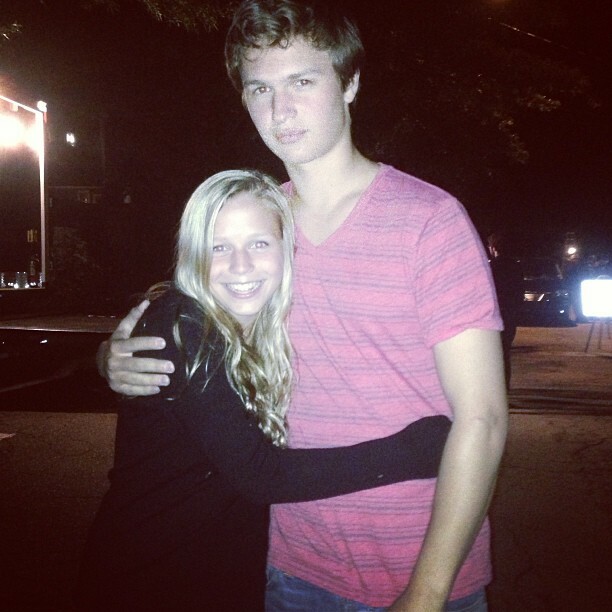 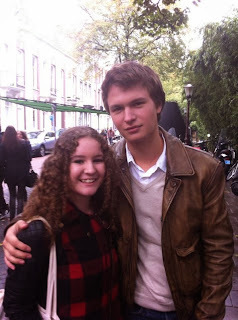 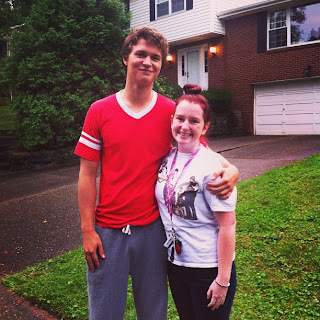 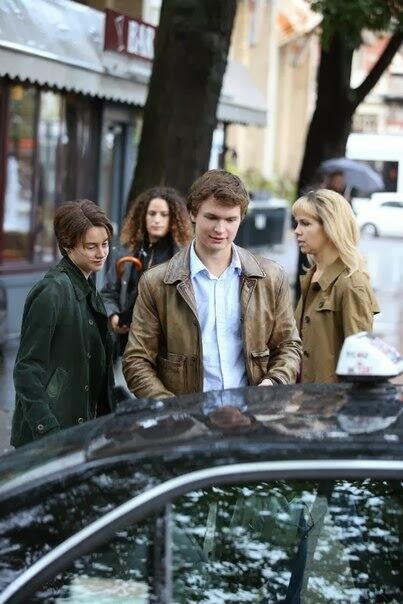 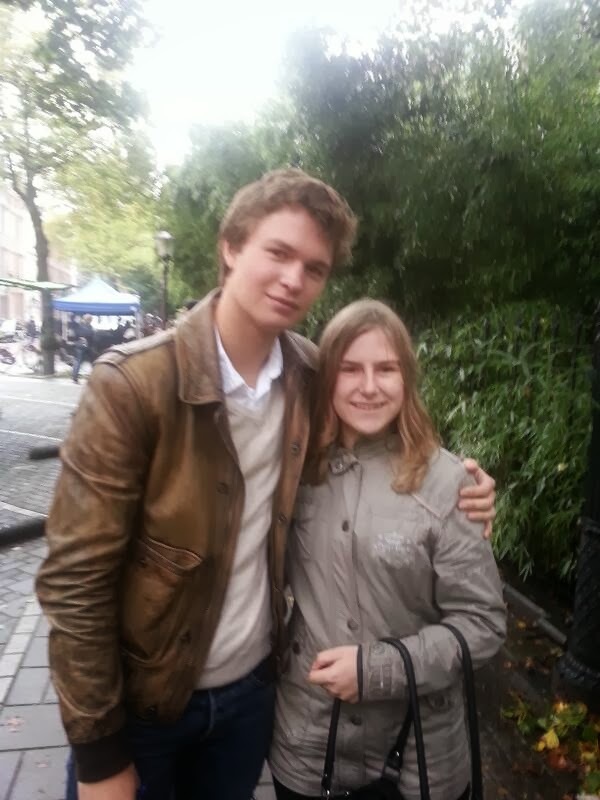 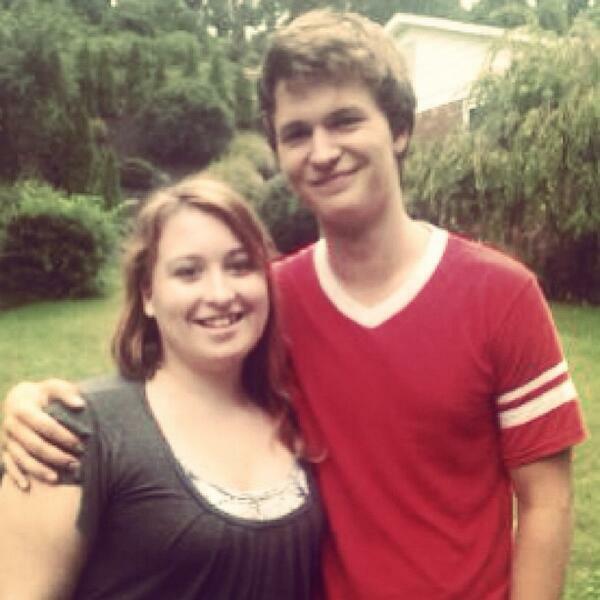 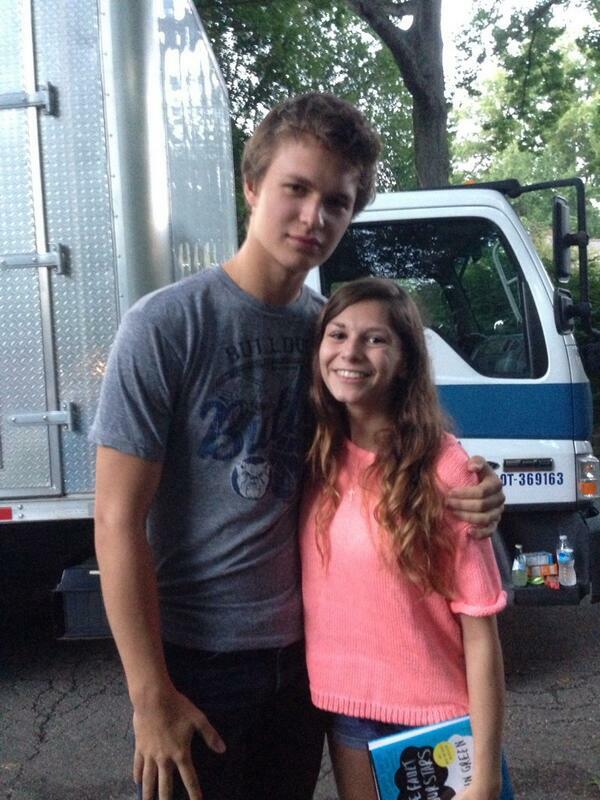 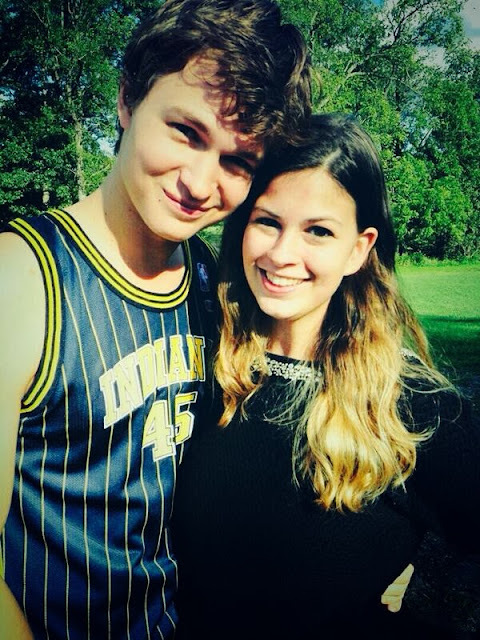 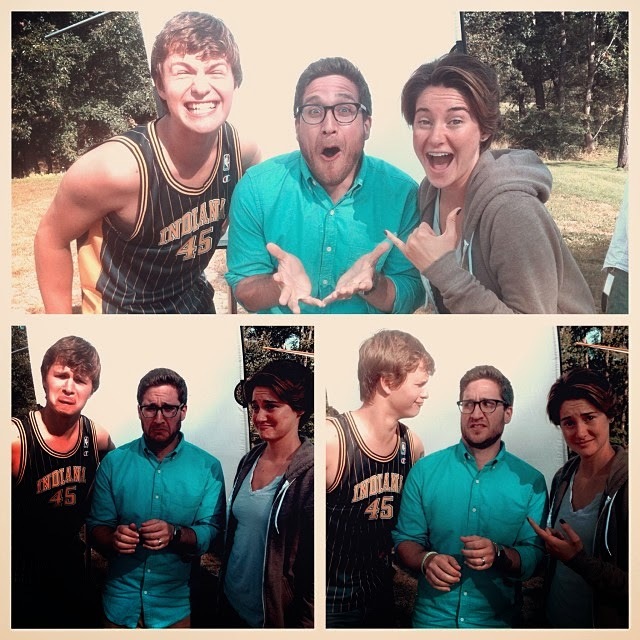 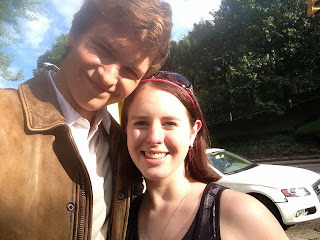 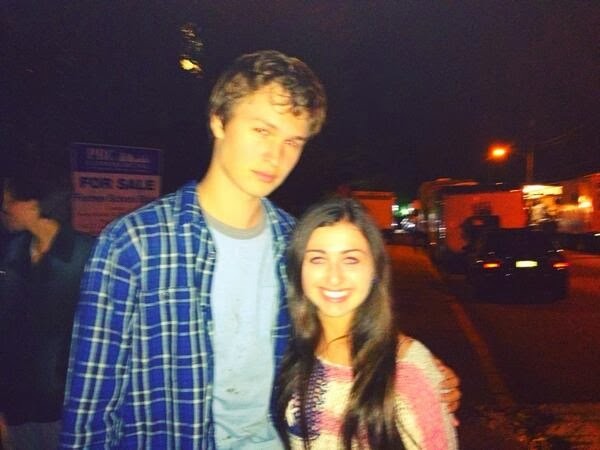 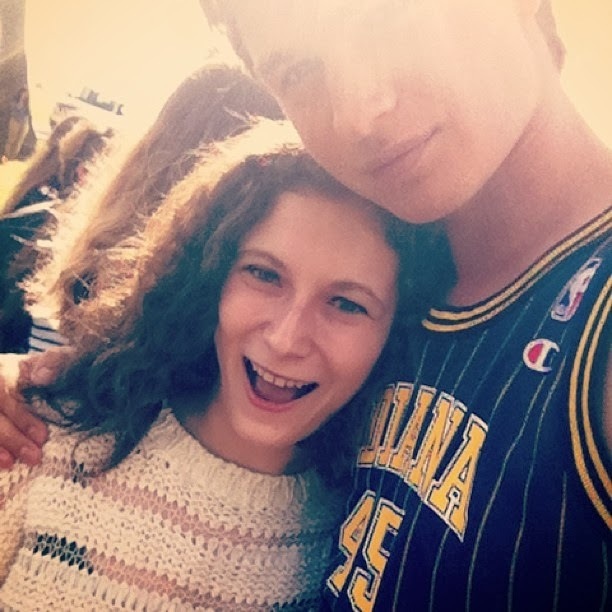 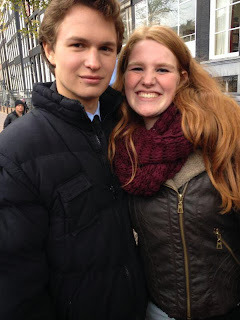 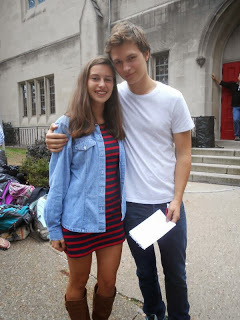 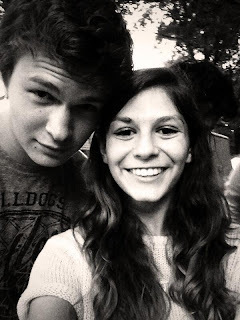 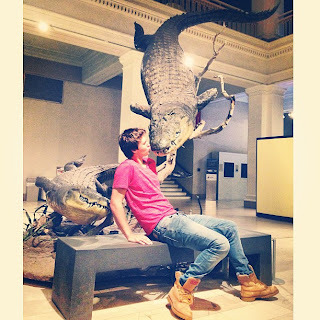 "It's so much fun hanging out with Ansel & Shailene, they're getting along great!" He says they're both very smart. TFIOS is #1 bestseller in Brazil. 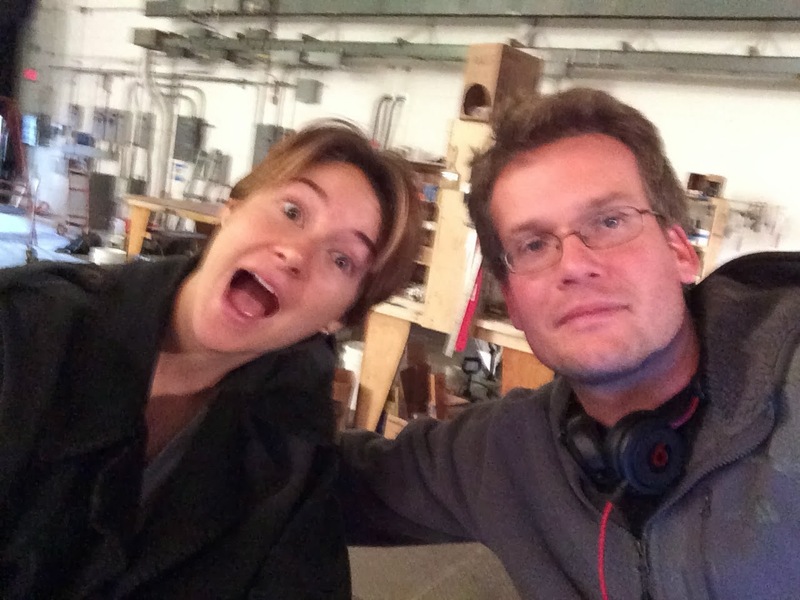 He loved the Divergent trailer. 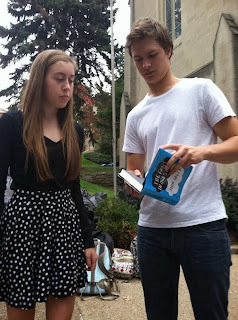 They both know the book better than him! 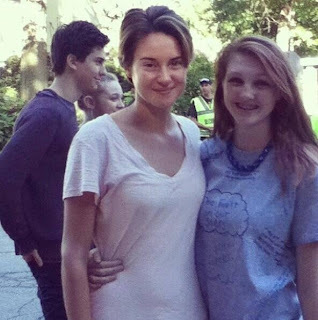 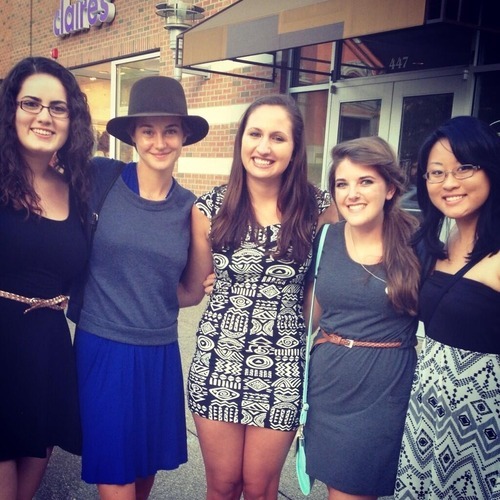 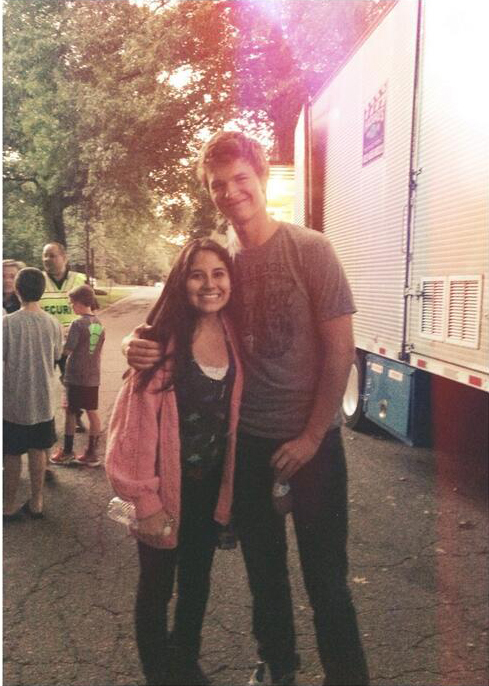 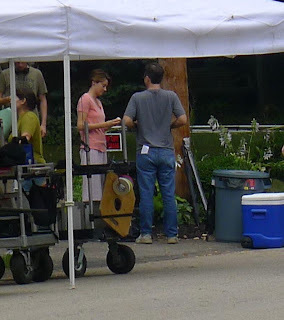 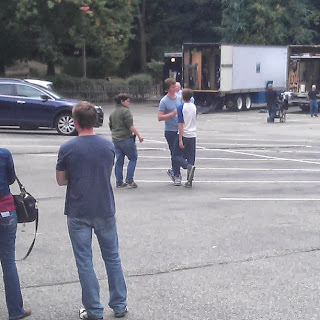 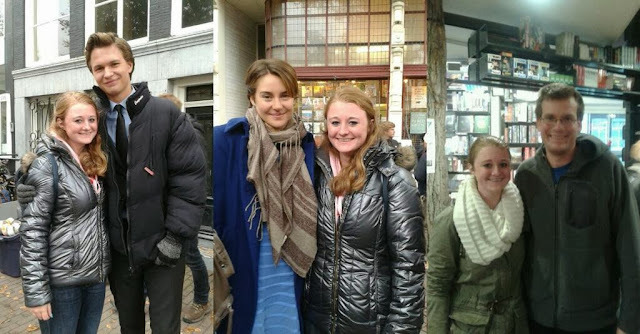 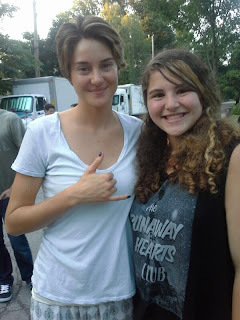 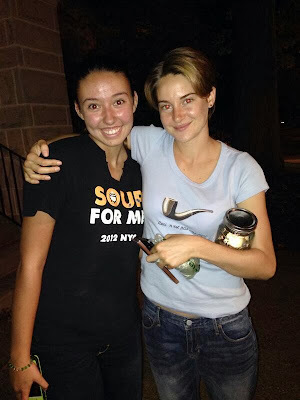 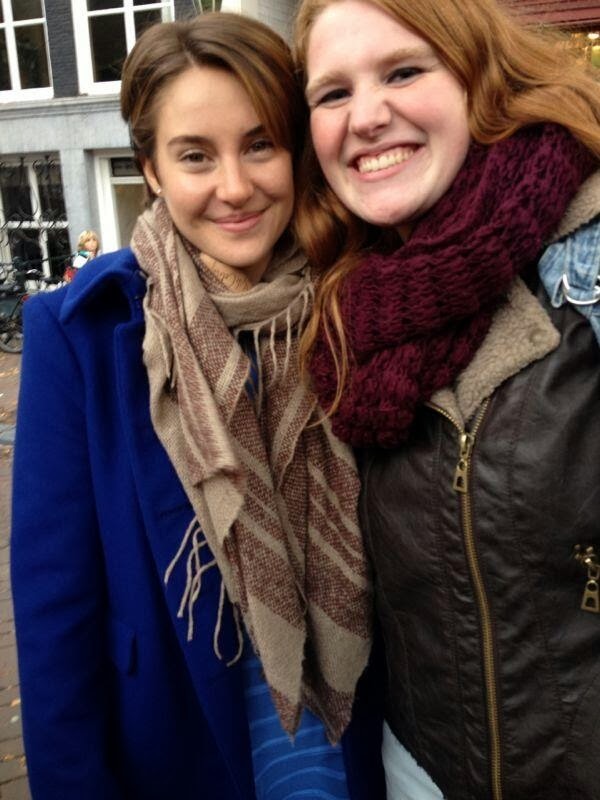 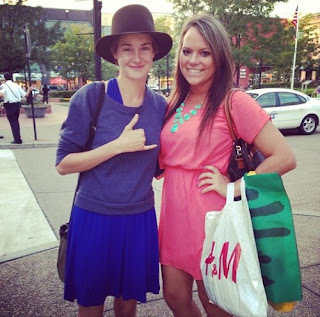 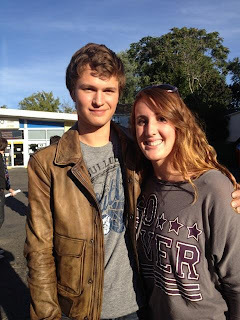 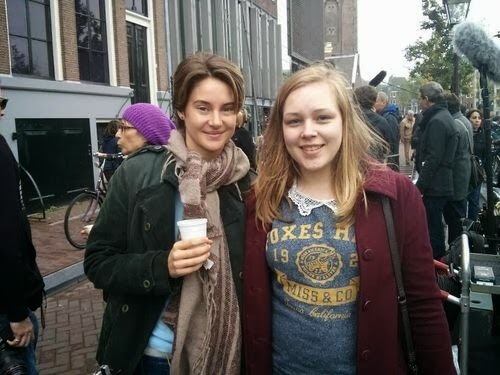 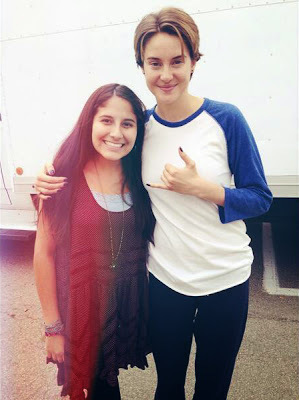 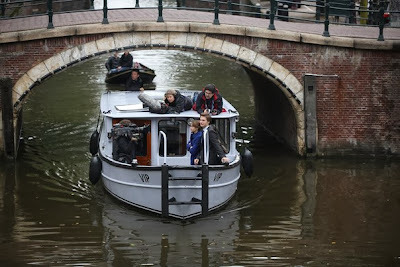 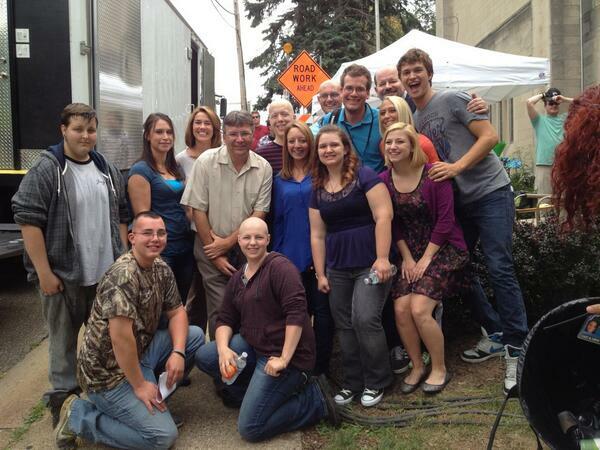 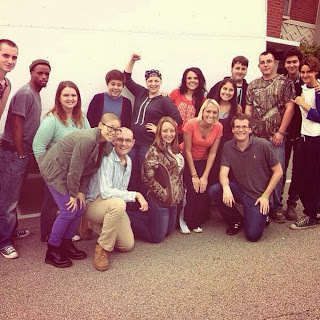 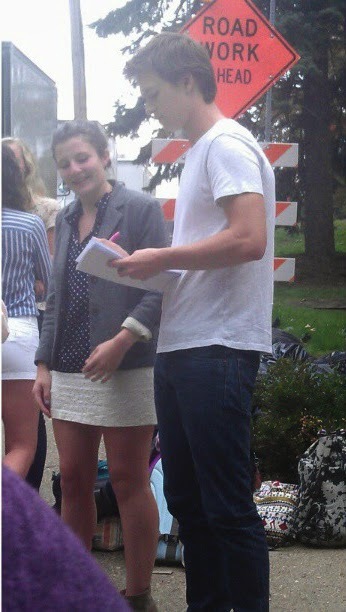 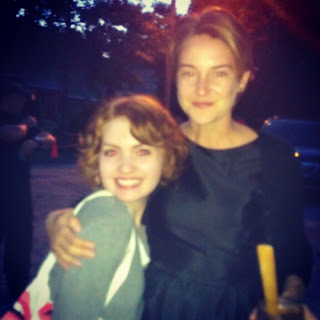 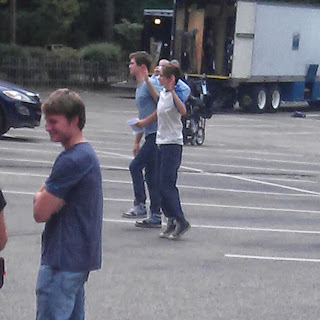 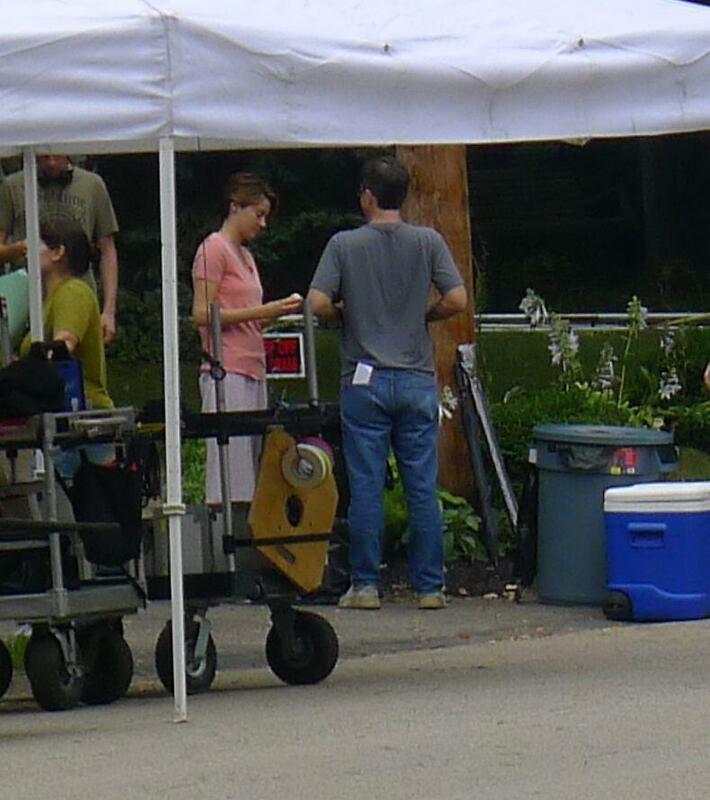 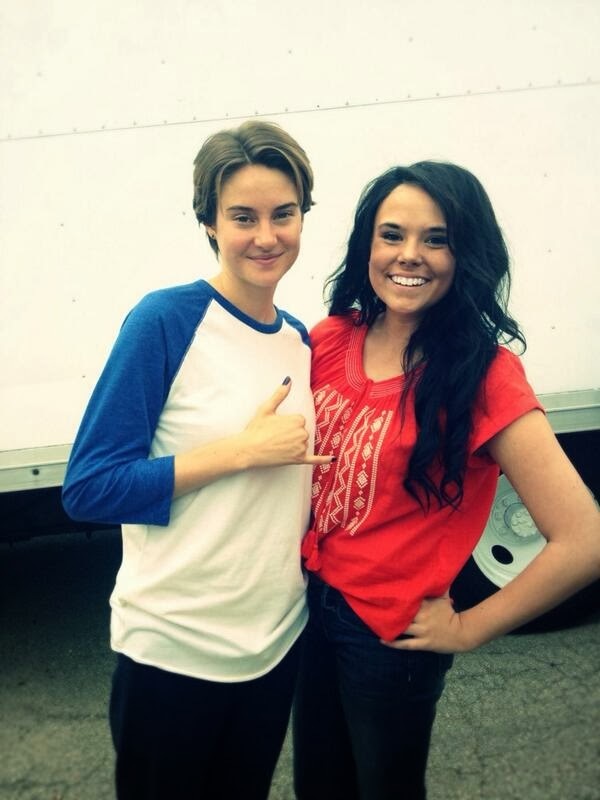 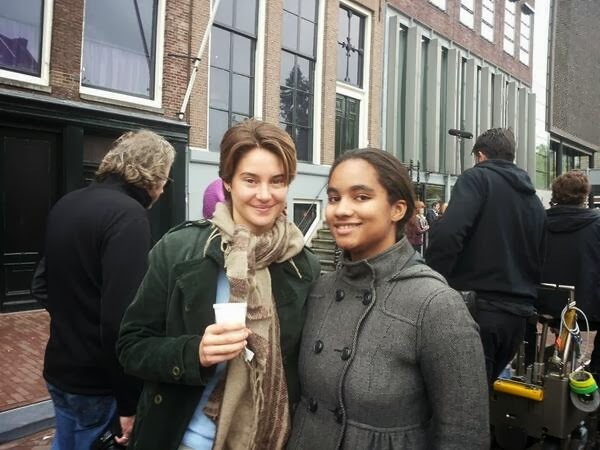 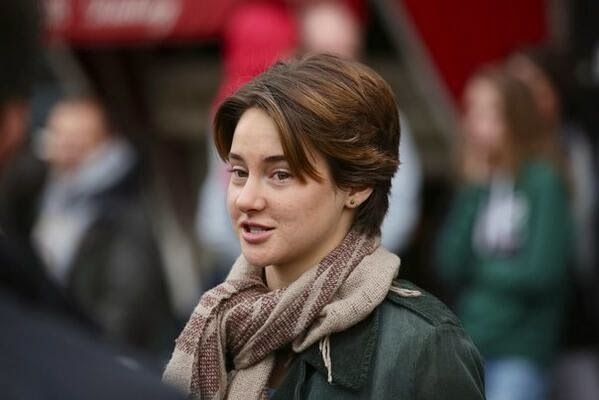 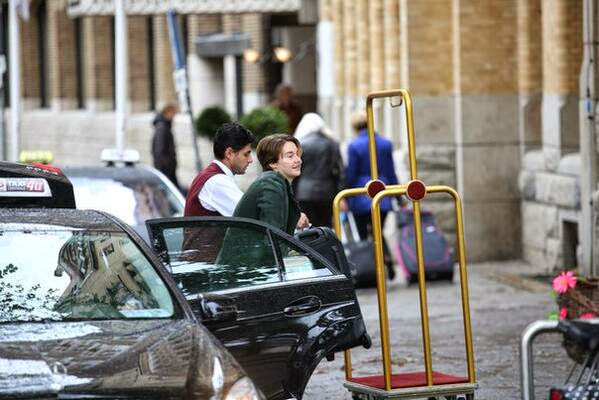 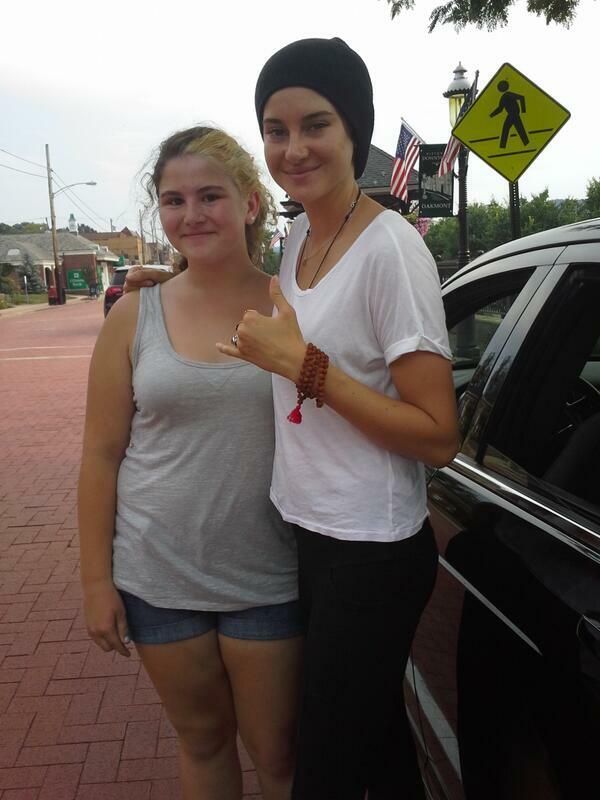 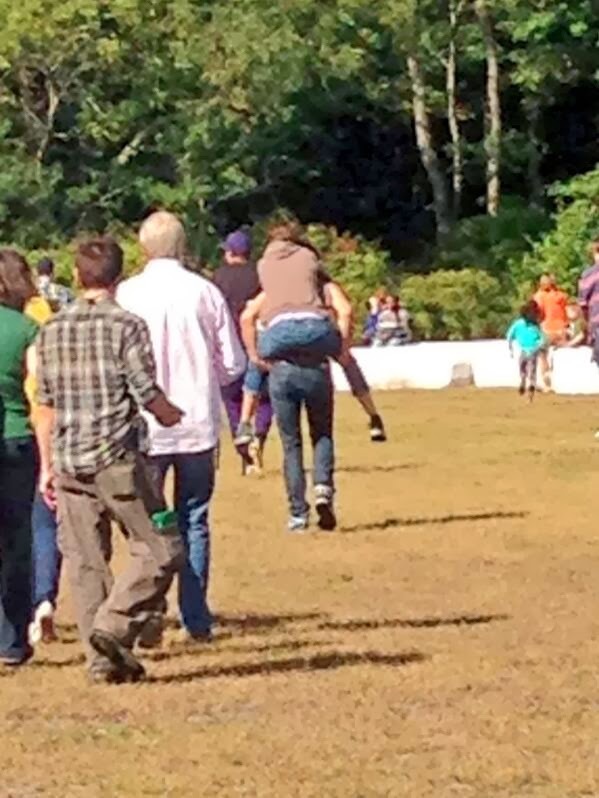 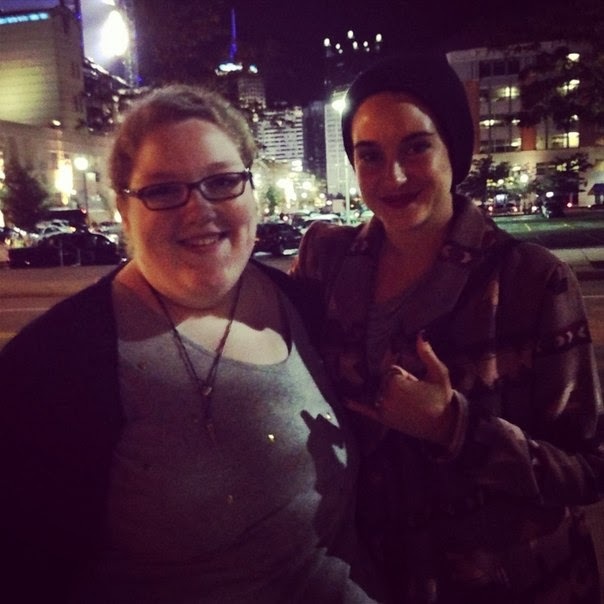 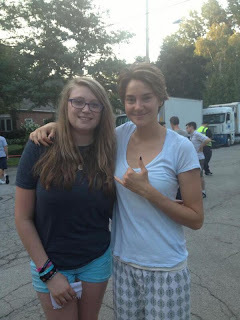 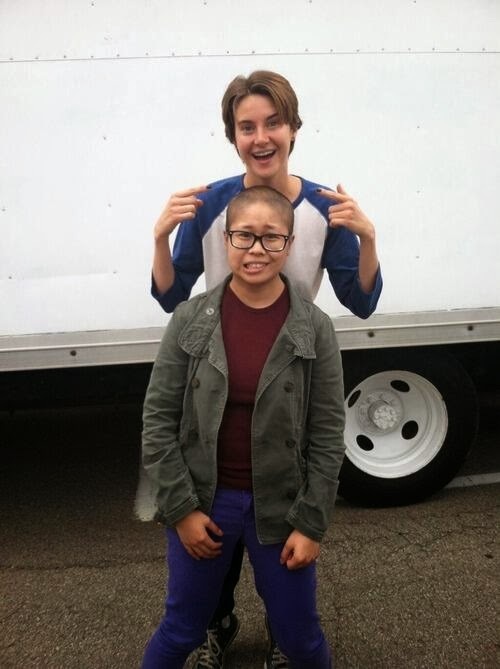 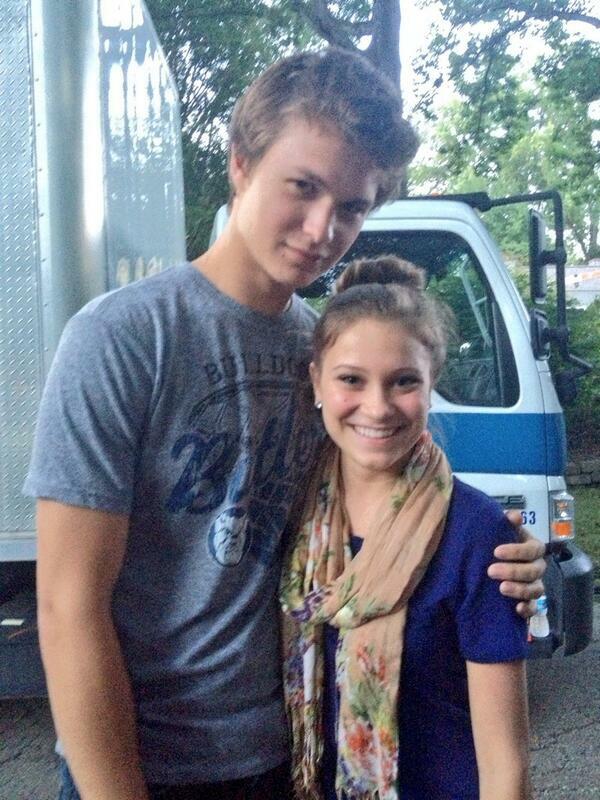 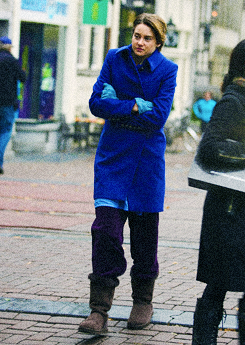 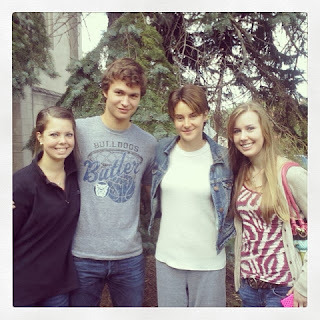 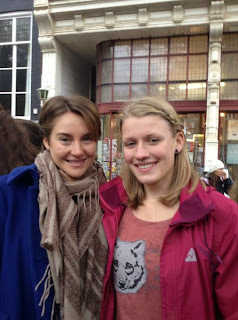 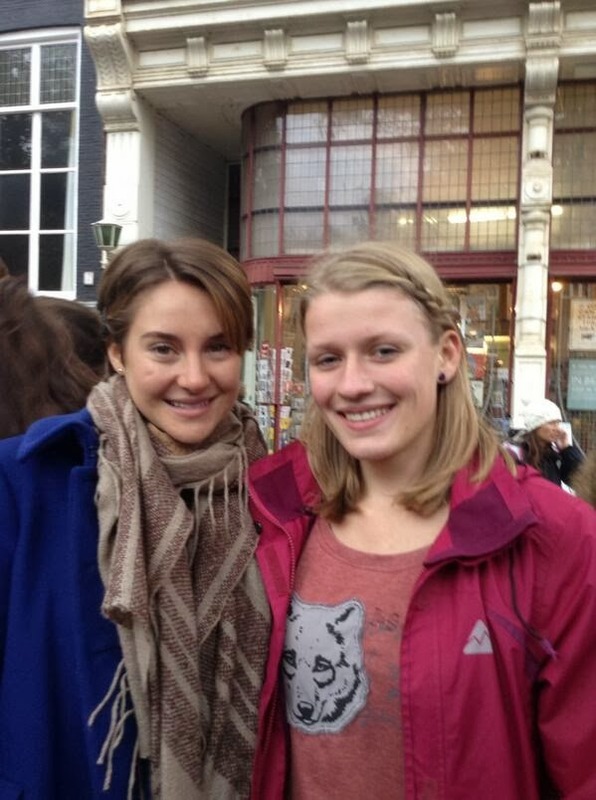 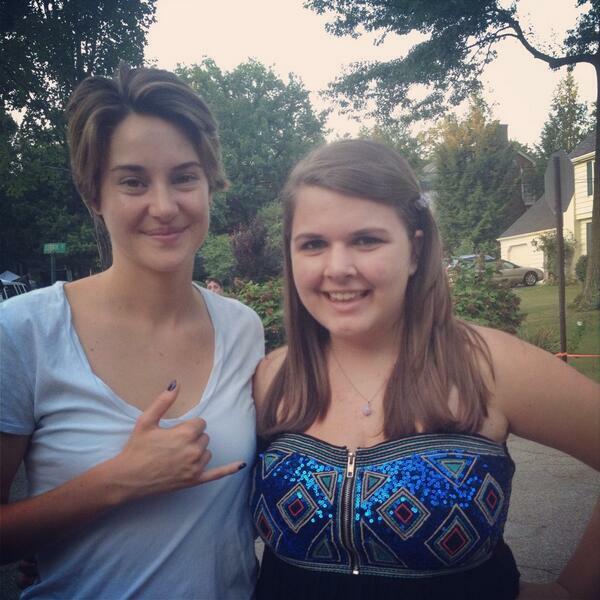 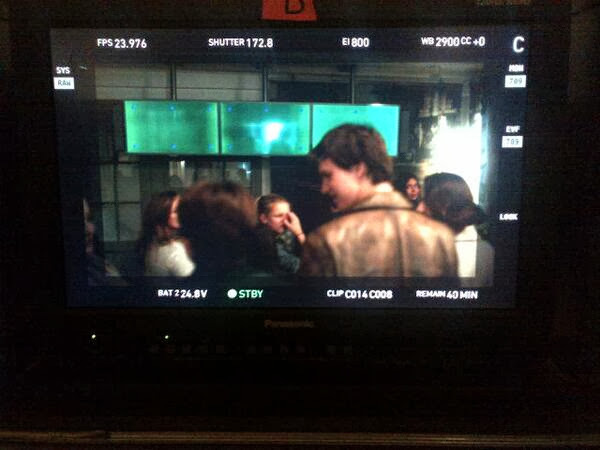 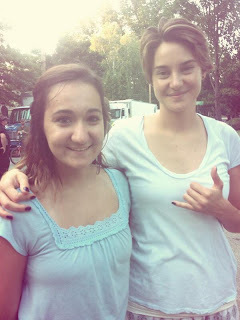 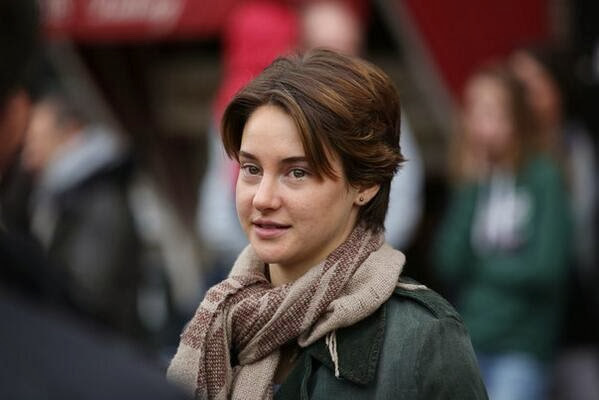 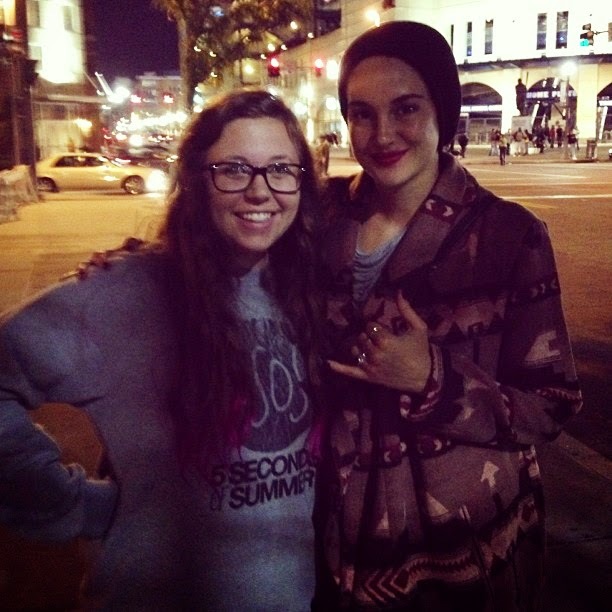 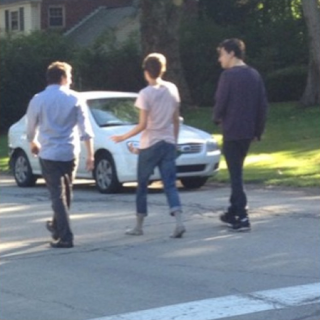 on the set of the #tfiosmovie with Shailene Woodley. Director Josh Boone: Did I get some Buffy goodness into TFIOS movie? 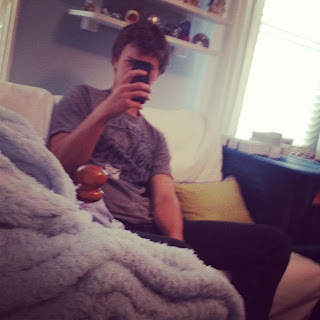 You know I did.